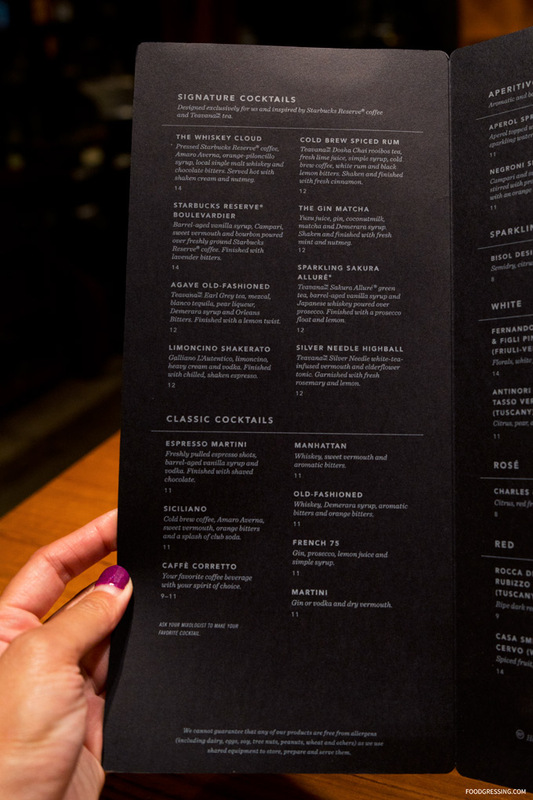 On my recent getaway to Tulalip Resort Casino, I had the opportunity to try out various dining establishments at the resort. 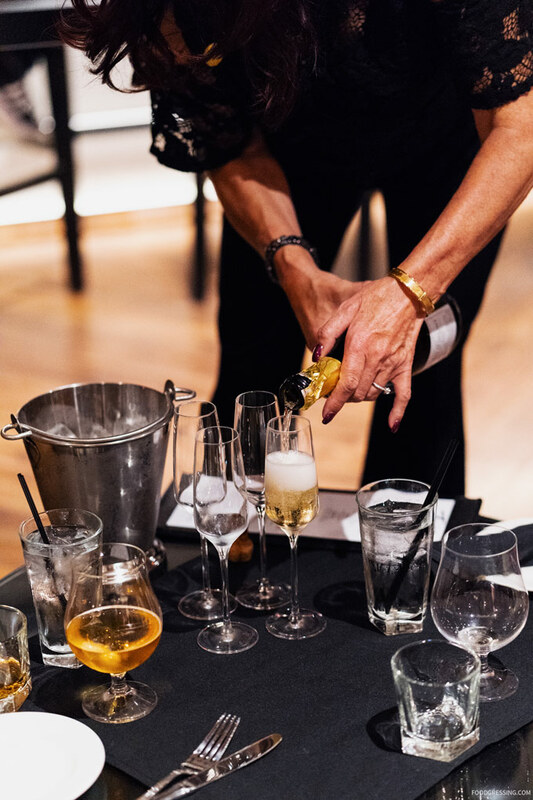 The first venue I visited was the Destinations Lounge located in the hotel lobby – a great place to meet up with friends, enjoy some appies and sip on some cocktails. 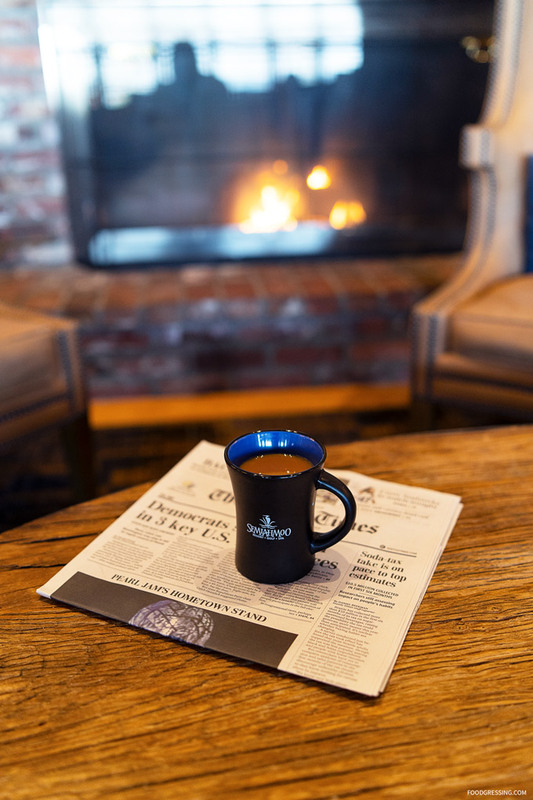 The lounge boasts a mid-century modern feel, with sleek leather furniture, a new cozy fireplace, and more. At the lounge, we were treated to a few drinks and appetizers. 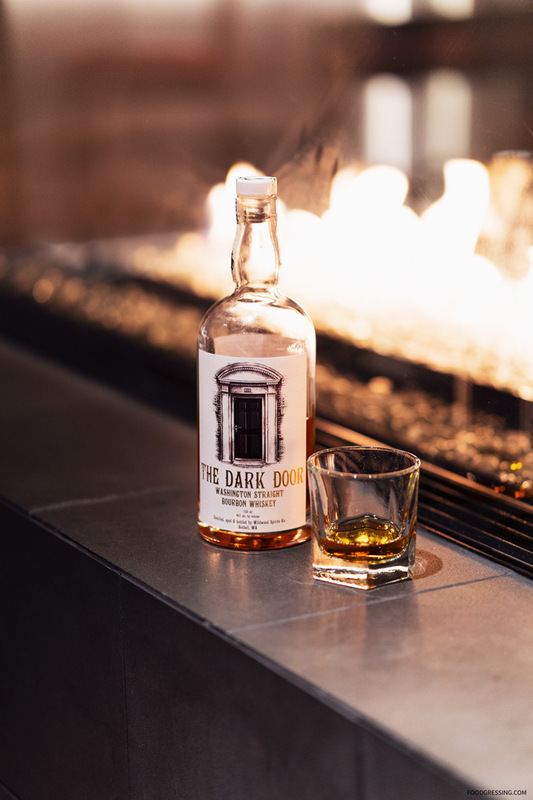 There was the “BBB – Bourbon, Brew & Bubbles” featuring Wildwood Spirits “The Dark Door Bourbon”, Hofbräu Oktoberfestbier, and 2009 Domaine Huet Vouvray Pétillant Réserve Brut. 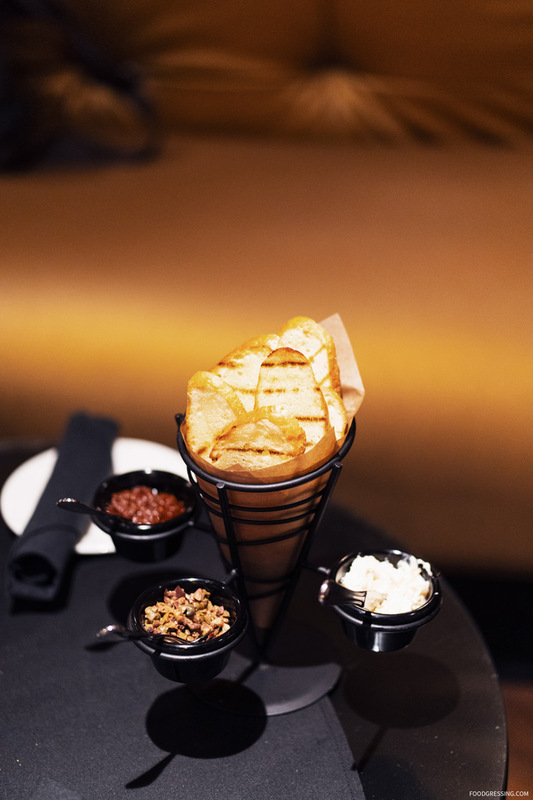 The drinks were paired with a few snacks including the Savoury Cheesecake (four cheeses served with vegetables and grilled baguette) as well as a Trio of Tapenade (caramelized onion and gorgonzola spread, olive tapenade, sun-dried tomato tapenade, and grilled crostini). 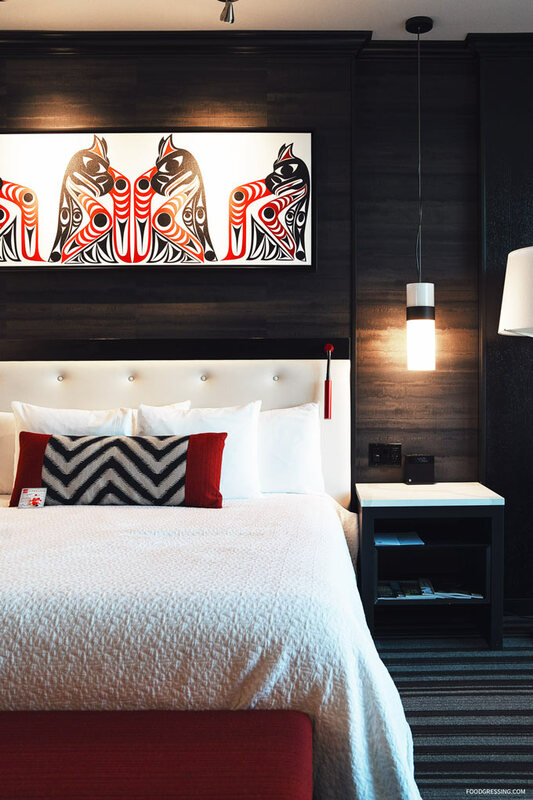 If you’re looking for an exciting but also restful getaway in the Pacific Northwest, Tulalip Resort Casino might just be the place. This past month, I was invited for a weekend getaway at this AAA-Four-Diamond-rated luxury resort casino, just 30 minutes north of Seattle, Washington. My weekend was packed with activities to learn more what Tulalip Resort has to offer. To start, here’s a look at my comfortable stay in their newly renovated deluxe King Room. Disclosure: I was on a press trip at where my accommodation and activities were hosted. All opinions are my own. 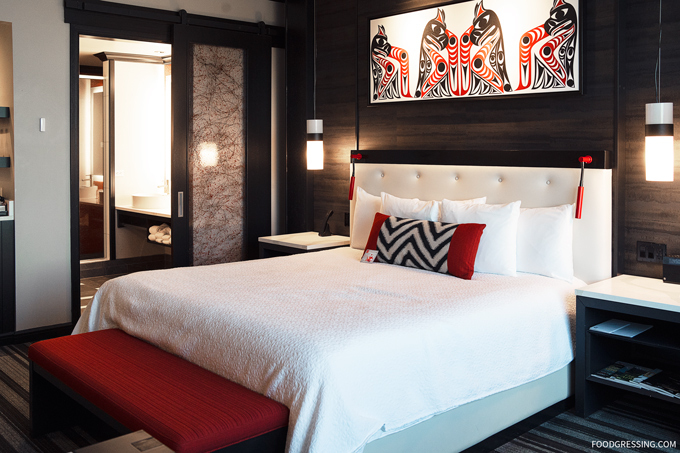 The well-appointed and attractive guest room features styling that pays homage to the rich diverse history and culture of the Tulalip Tribes. 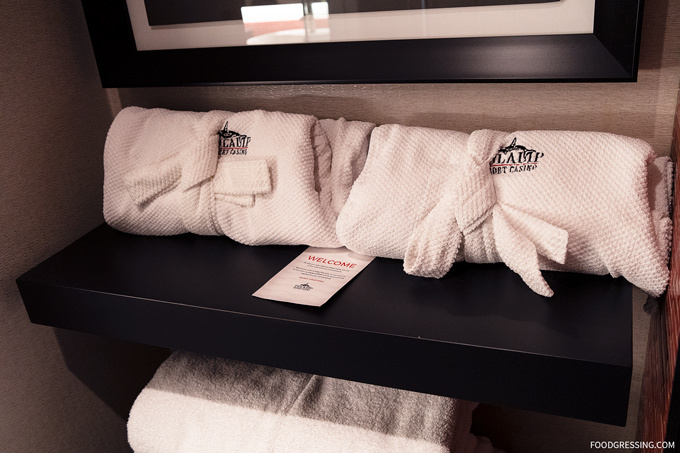 The room measures an expansive 500 square feet which is among the most spacious hotel rooms in the Pacific Northwest. 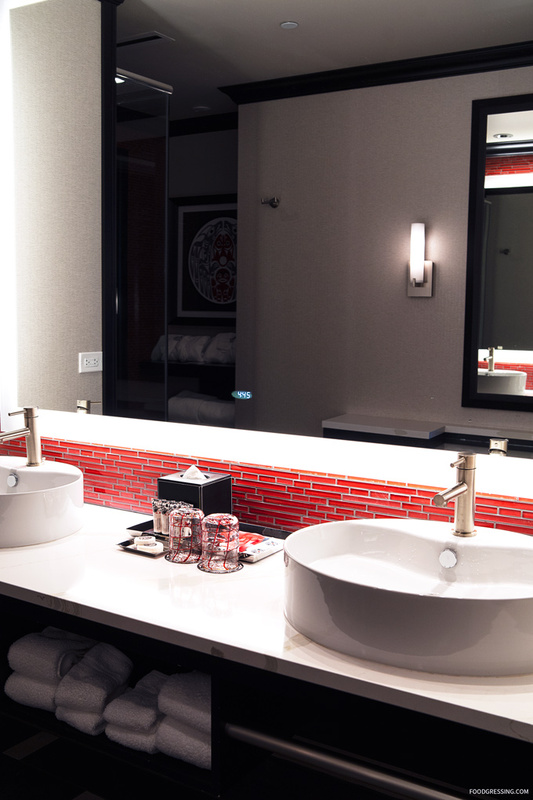 The bathroom area was also warm and inviting with luxurious features like designer glass tiles, polished stone counters, plush guest robes, and vessel style sinks. My favourite part was the spa-like shower with three adjustable body sprays; I could be in there forever! Our room had a separate sitting area, deluxe workspace, and 55” 4K OLED Smart TV. 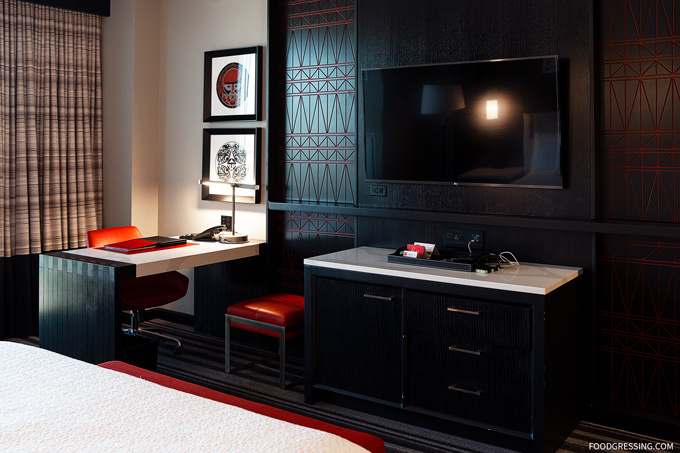 Being newly renovated in 2016, the room had many tech-friendly features including more than enough USB power outlets. I also appreciated that the complimentary Wi-Fi was speedy. Overall, we had a very nice stay at Tulalip Resort Casino. 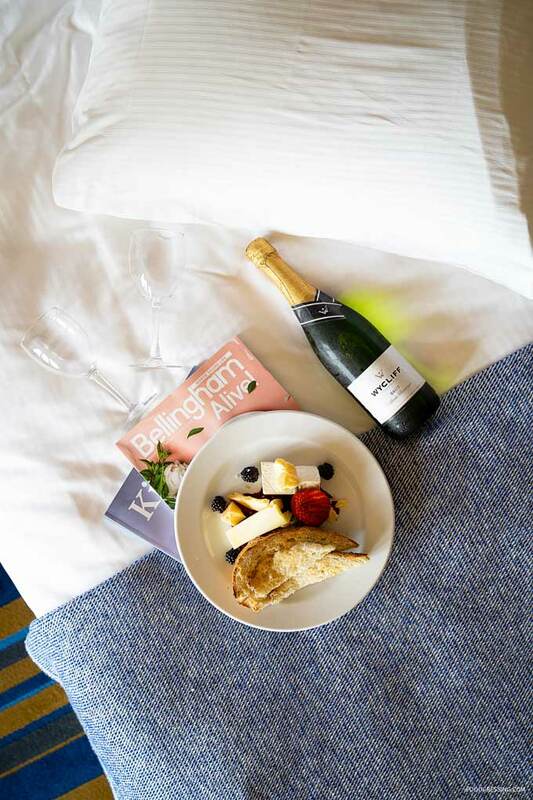 I must say that we didn’t spend too much time in the room as there is simply so much to do at the casino resort (and into the wee hours of the morning too!) Follow foodgressing.com/category/usa/washington/tulalip/ for my other related posts on Tulalip Resort Casino. 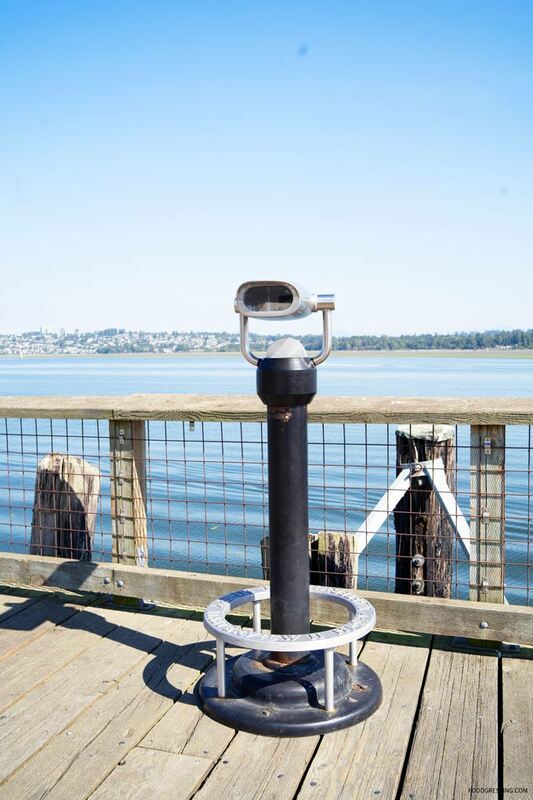 Looking for a charming getaway in the Pacific Northwest where you can relax, have great food, be active outdoors and enjoy scenic views? 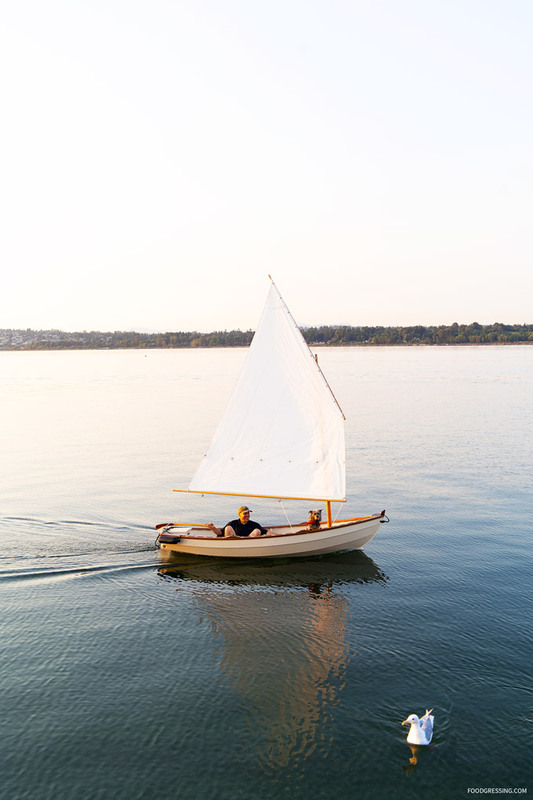 You might just consider Semiahmoo Resort Golf and Spa located on a unique peninsula in Blaine, Washington. 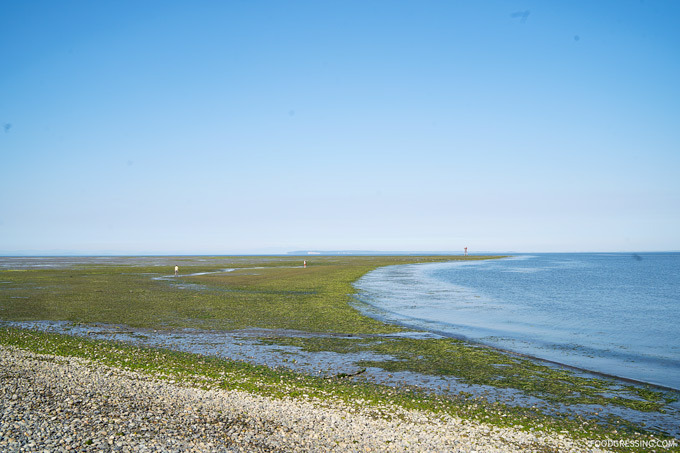 My family and I recently enjoyed a weekday stay at Semiahmoo Resort where we had the opportunity to experience what Semiahmoo Resort had to offer. Here’s a look at our stay. 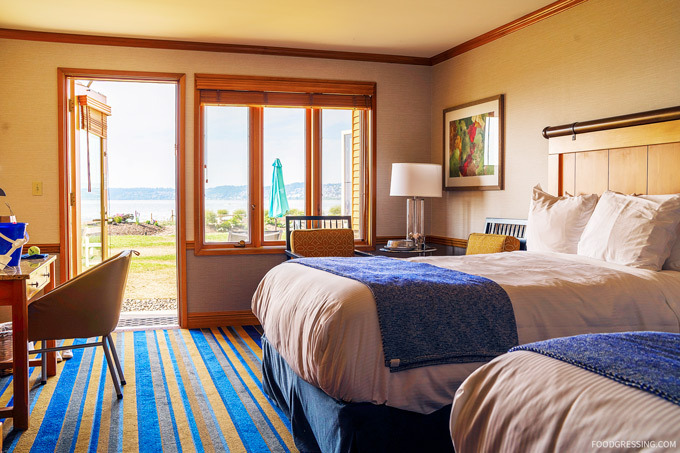 Disclosure: I received a complimentary stay and dinner at Semiahmoo Resort as media. Opinions are my own. 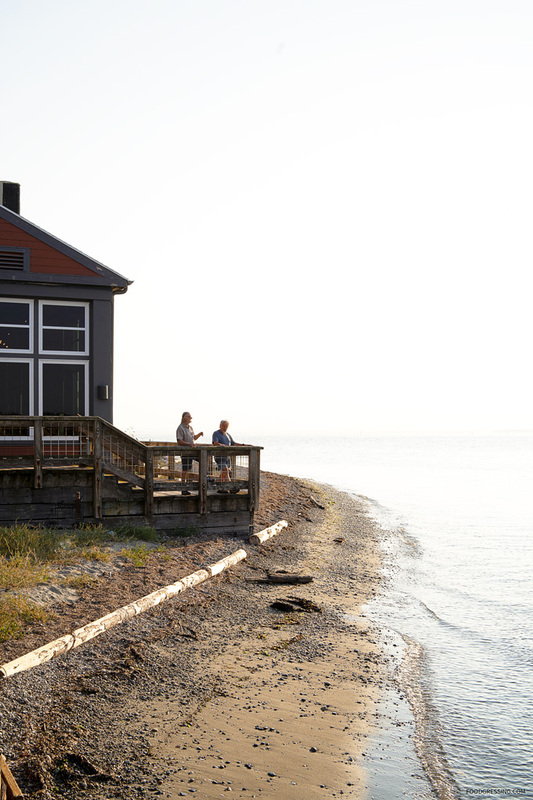 There’s nothing like enhancing a vacation by staying in a room with a view. We stayed in the Waterview Deluxe Double Queen guest room featuring two queen beds, and a private patio. 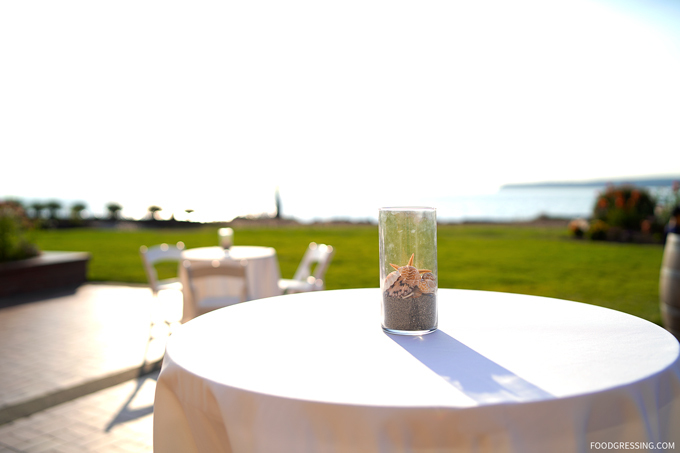 In the distance were stunning views of Semiahmoo Bay and White Rock, BC. Soon after checking into our room, we were met with a knock at the door. Staff had brought us a lovely welcome gift including a bottle of champagne and a cheese & fruit platter. 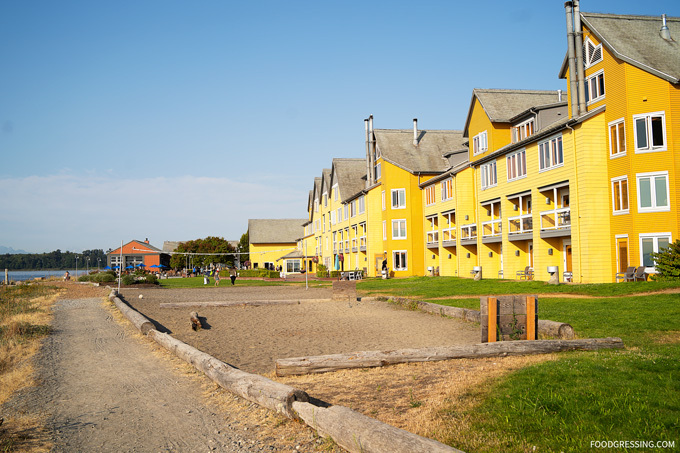 You don’t need to leave your dog at home when you stay at Semiahmoo because it is a dog-friendly resort. 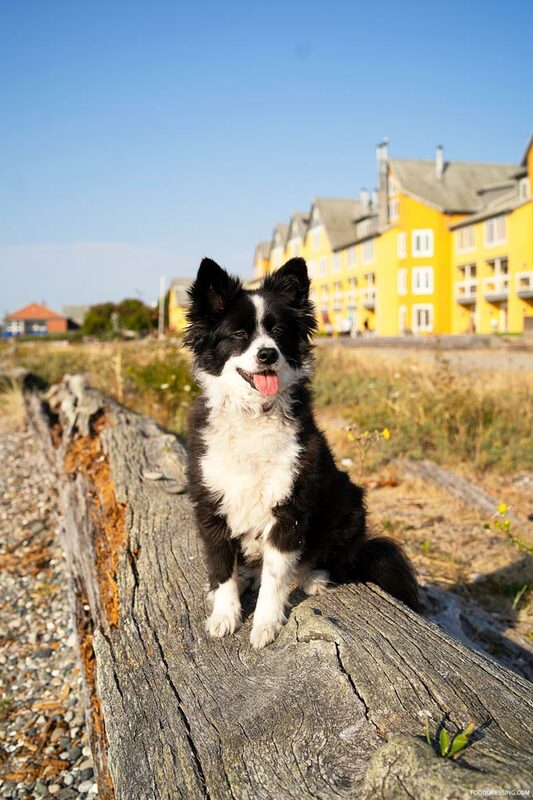 Semiahmoo invites you to bring your dogs along for a seaside vacation they are sure to love. We brought along our dog, Aapik, for her first resort experience! 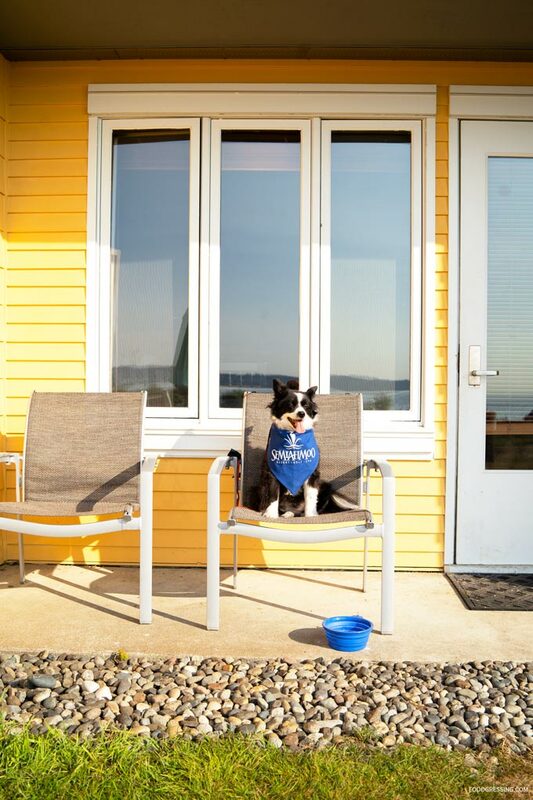 The resort also left a Pooch Package in our room featuring a collapsible dog bowl and a souvenir bandana. 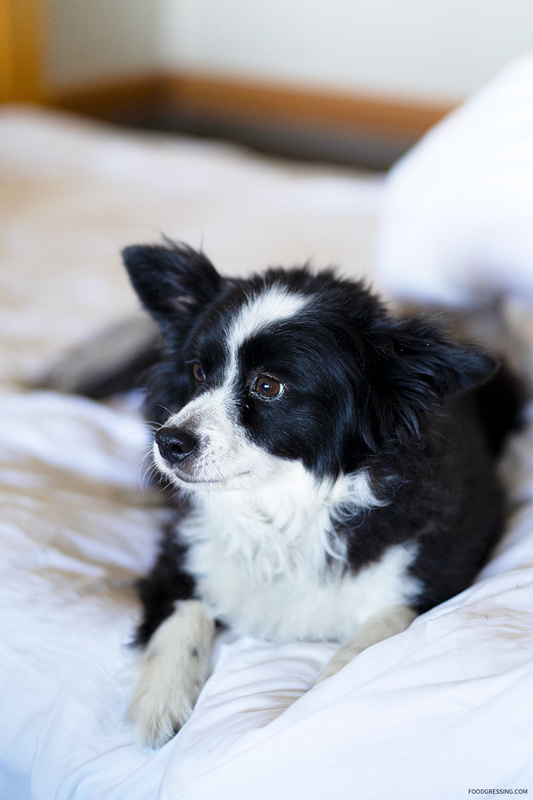 We found the beds at Semiahmoo Resort very comfortable…and obviously so did Aapik because we found her all cozy in the bed a few times. 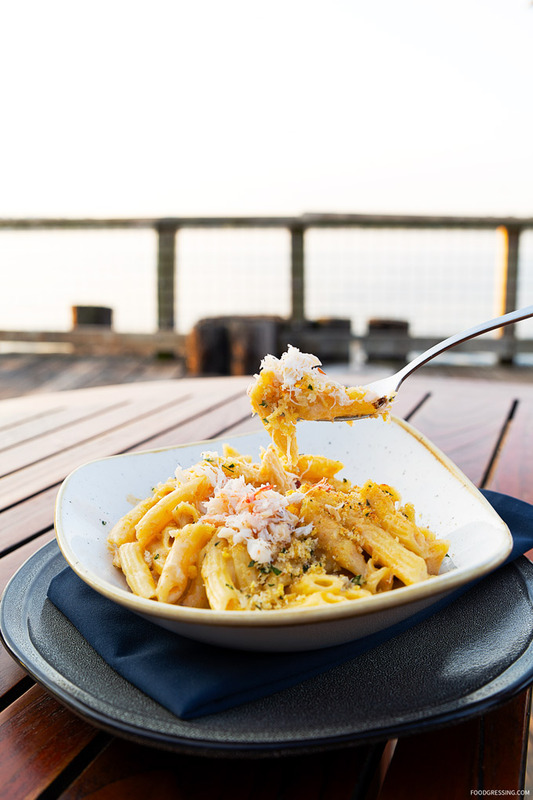 Foodies who visit Semiahmoo Resort would enjoy dining at Packers Kitchen + Bar, the onsite restaurant at Semiahmoo Resort. 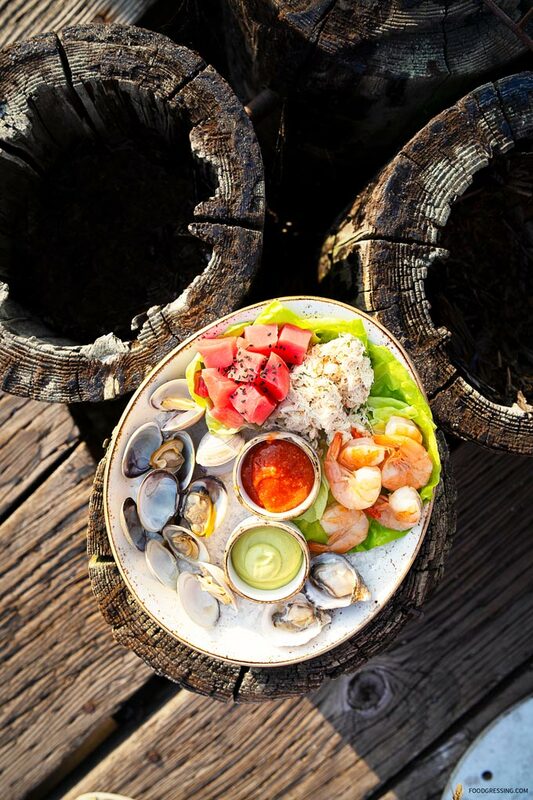 Open for lunch, happy hour, dinner or a late-night get-together, Packers serves Pacific Northwest cuisine and fresh seafood from local purveyors. 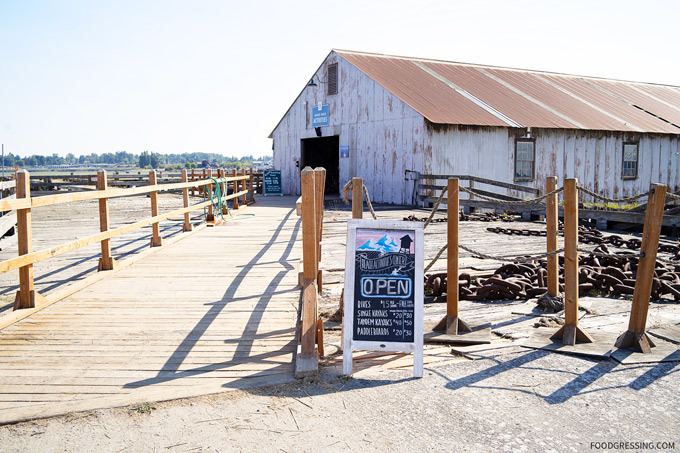 Popular items include oysters-on-the-half-shell and their fish and chips. We loved the Chilled Seafood Platter featuring local seafood (oysters, shrimp, Dungeness crab, clams, tuna tartar) accompanied by avocado lime sauce, cocktail sauce and chip. We also went with two entrees that came highly recommended by our server. 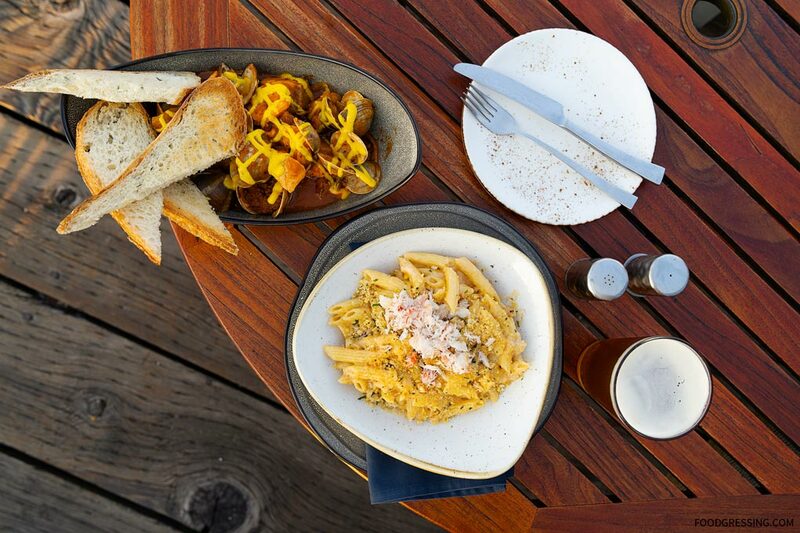 There was the very comforting pub fare, Crab Mac ‘n’ Cheese, with smoked gouda, Dungeness and red crab, cream and toasted breadcrumbs. 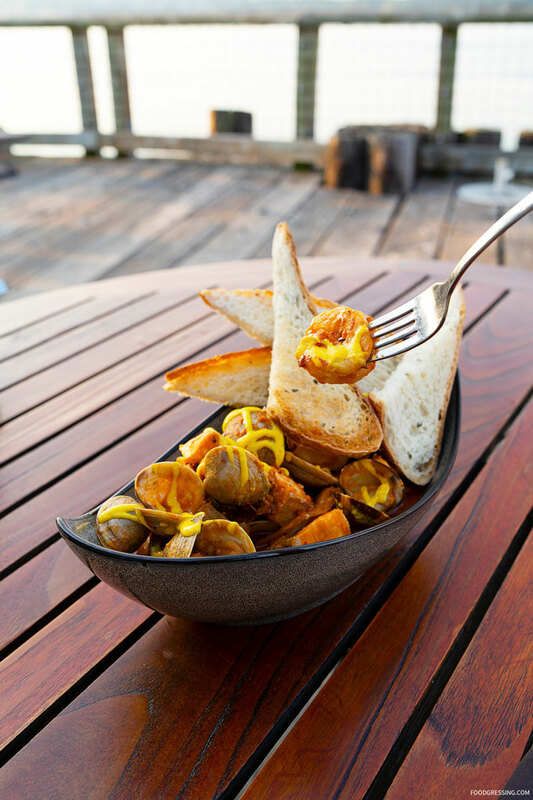 Another popular entree that we had was the Salish Sea Cioppino with clams, cod, salmon, chorizo, prawns, saffron aioli in a rich and flavourful broth. My son enjoyed his kid’s meal which was chicken tenders (made from chicken breast) and lightly salted fries. 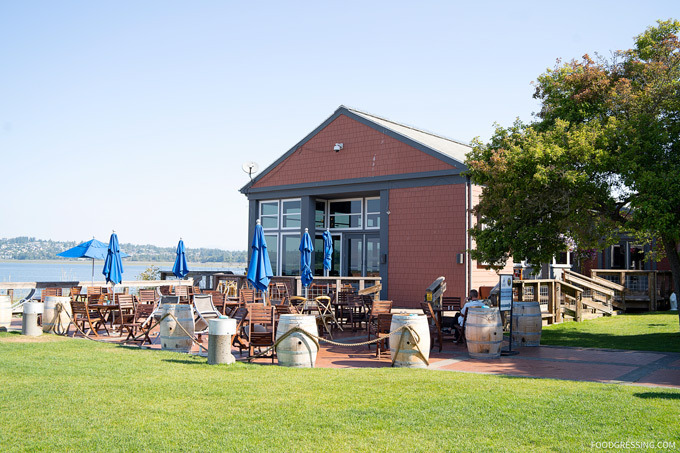 The restaurant features seating on the dock where we enjoyed lovely views of sailboats passing by. 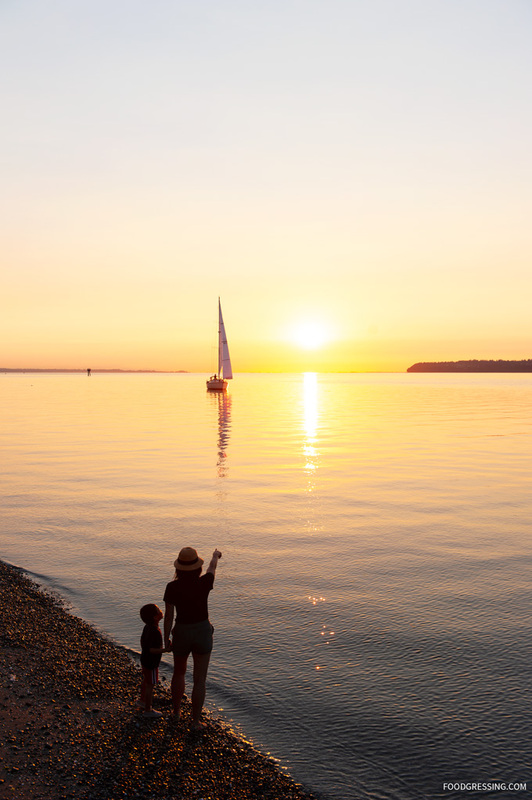 Outdoor fun is aplenty at Semiahmoo Resort and includes adventures like hiking, paddleboarding, kayaking and swimming to name a few. There are lots of family-friendly options both indoor and outdoor. 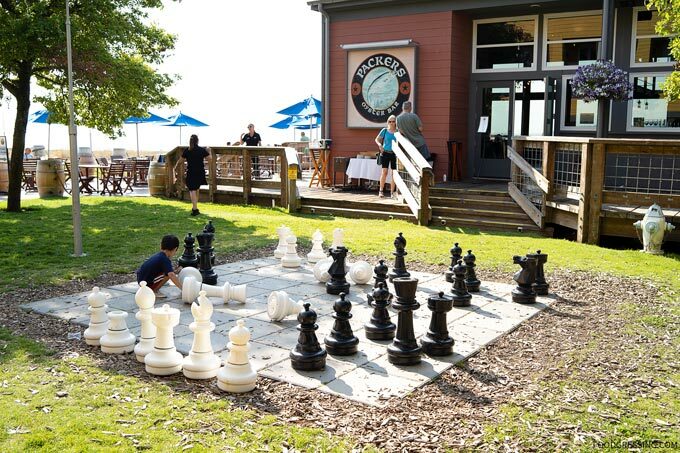 My son enjoyed the outdoor oversized chess board. We also spent time in the library playing some board games. And always, a dip in the pool is a great option to cool off from the summer heat. 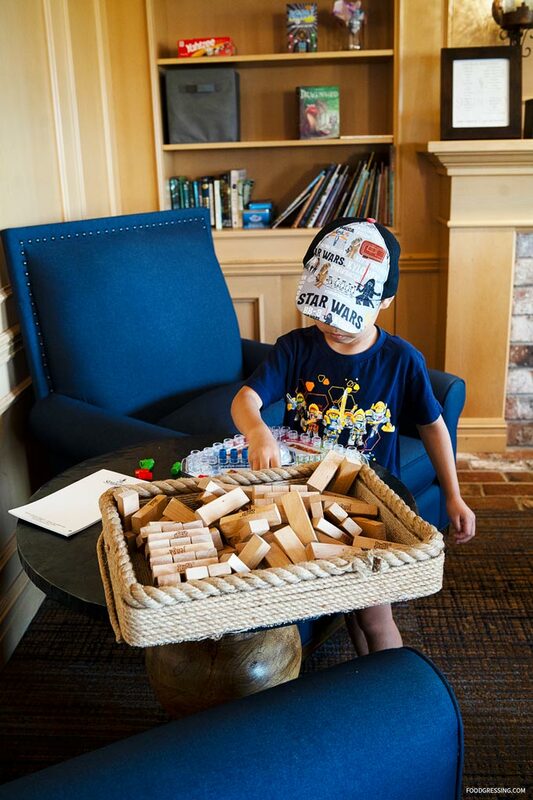 I also enjoyed simply exploring the grounds of the resort and relaxing at the various indoor lounges. 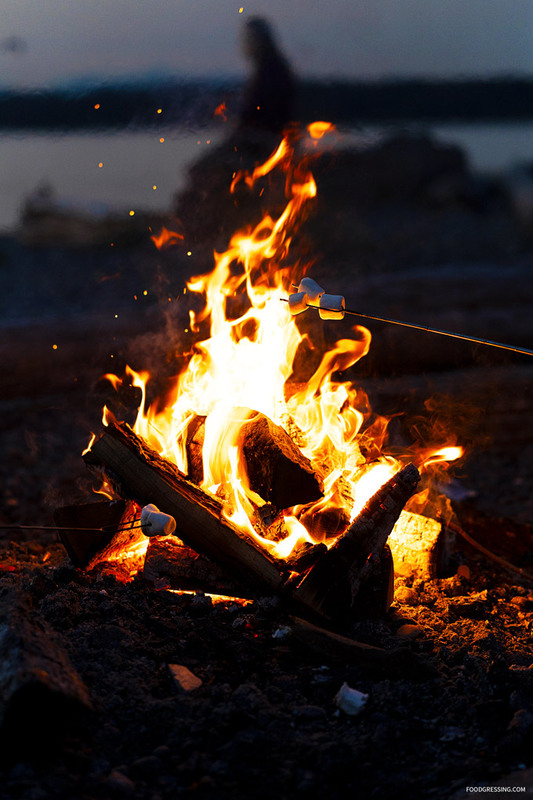 In the evening, we gathered around the beach bonfire where we watched the sunset over the water while making heart-warming s’mores. 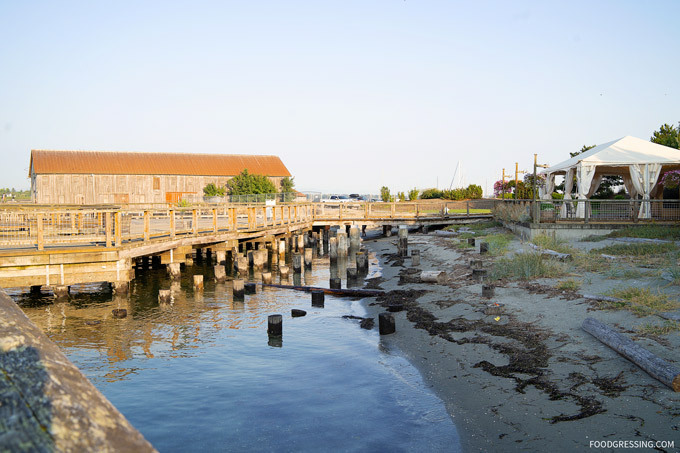 My family and I had a relaxing family- and dog- friendly getaway at Semiahmoo Resort. 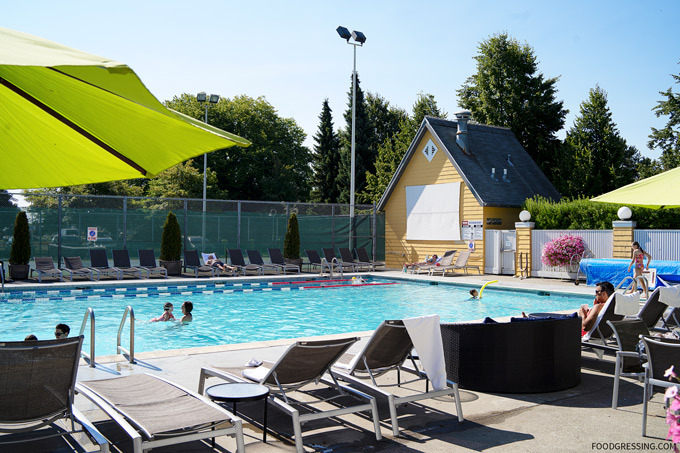 It’s just 15 minutes from the Peace Arch Border which makes it an ideal quick vacay (almost staycation) from Vancouver. 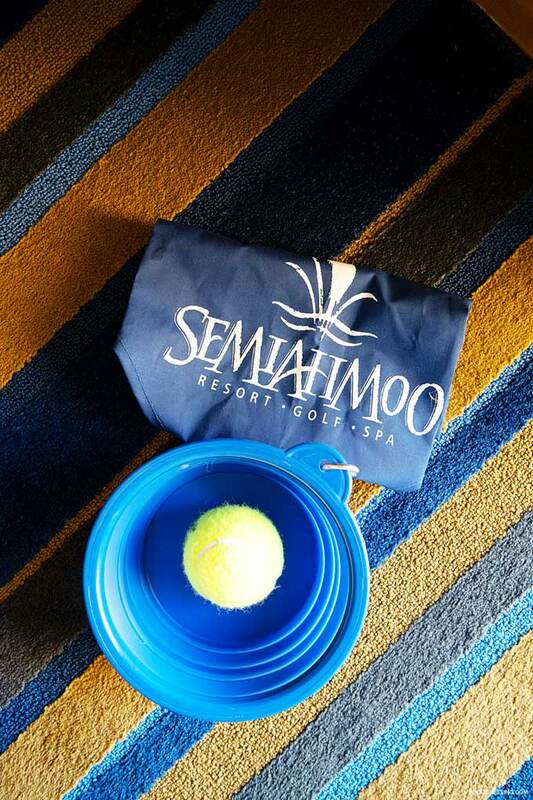 I would recommend others to Semiahmoo Resort. 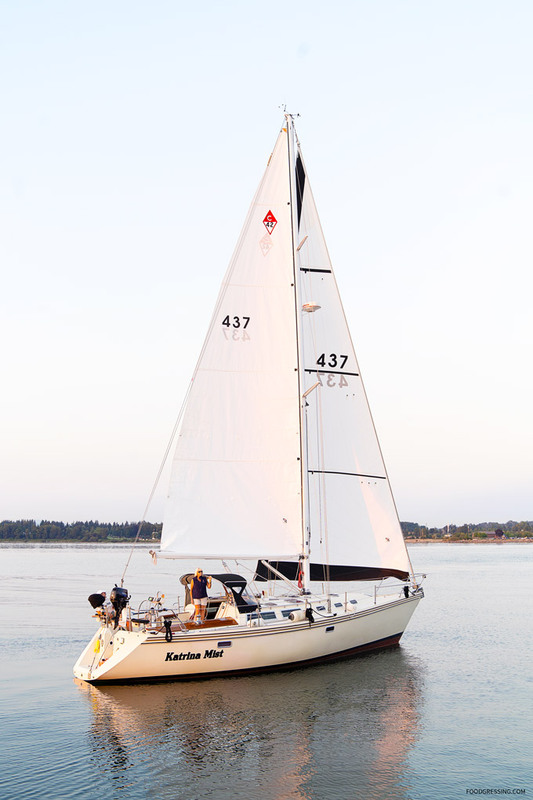 For more information, visit www.semiahmoo.com. 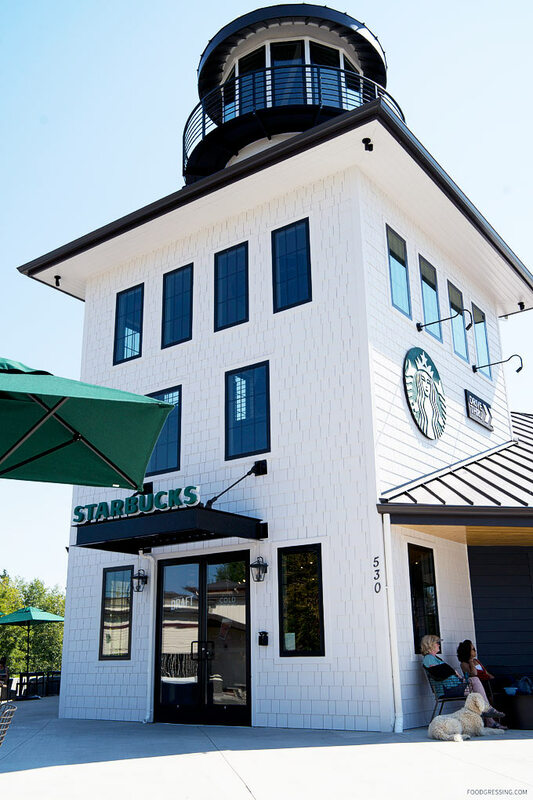 As my family and I were headed to Semiahmoo Resort this past week, we passed by a uniquely designed Starbucks in Downtown Blaine. 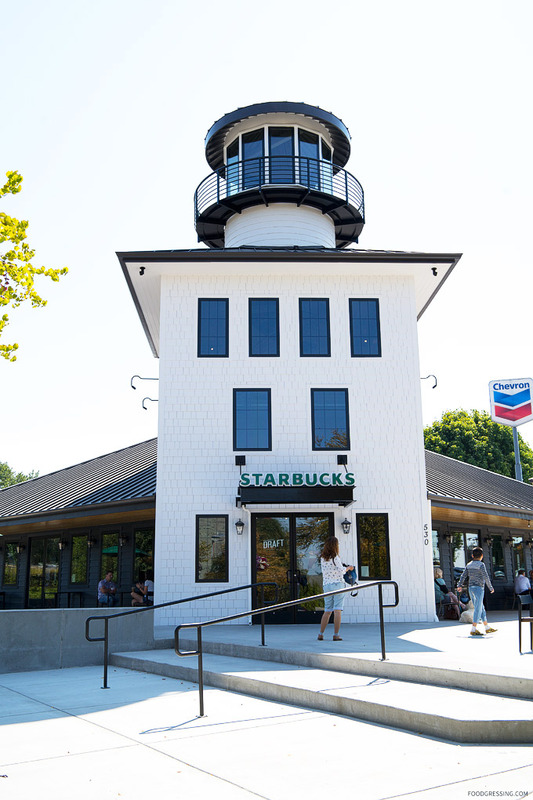 Located at 530 Peace Portal Drive, this particular Starbucks had just opened two weeks ago and was built to resemble a 19th century historic Blaine lighthouse that once stood at the entrance to Semiahmoo Bay. The 2,650-square-foot building features an indoor spiral staircase, an outdoor fireplace and patio. 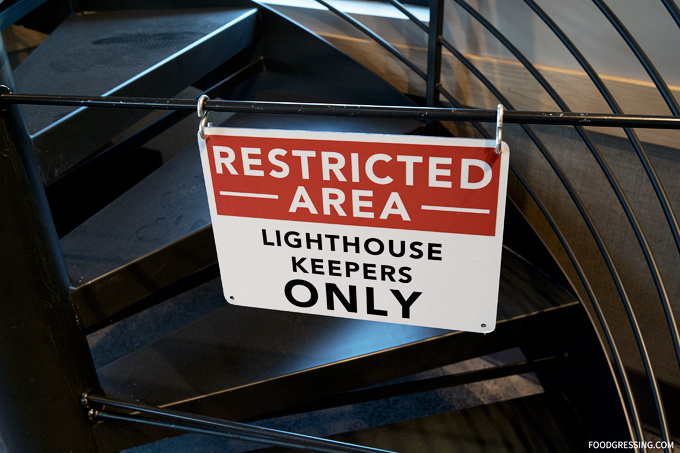 The lighthouse tower itself is 48-foot-tall. 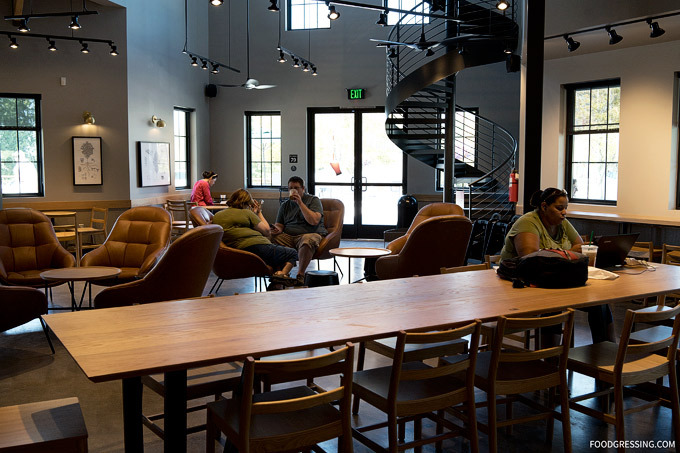 The shiny, new interior was warm and inviting with communal tables, lounge chairs and small tables. 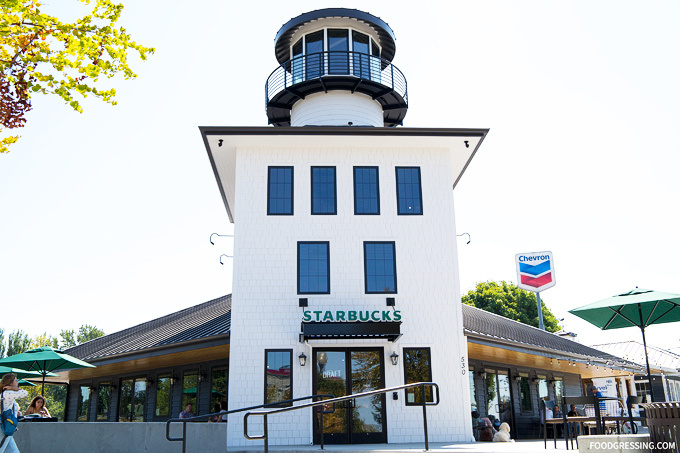 Starbucks Blaine is part of Skye Hill Station and located next to the new Blaine Welcome Center. 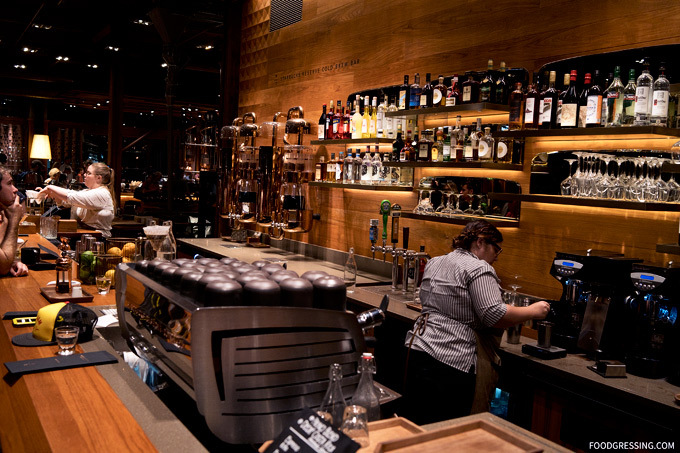 One of my favourite places to visit when in Seattle is the Starbucks Reserve Roastery in Capitol Hill. 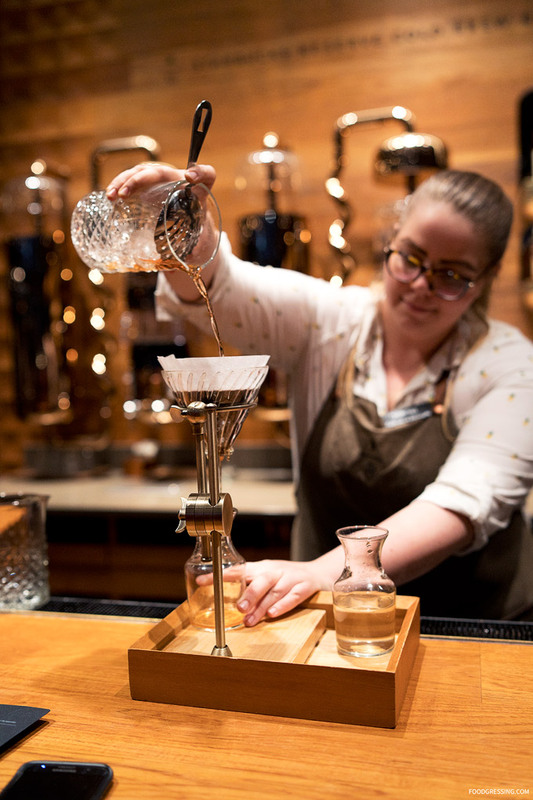 During my visit this past week, I noticed a new coffee-inspired mixology bar. The mixology bar is adjacent to the Princi bakery (which offers Italian food) located within the Roastery. 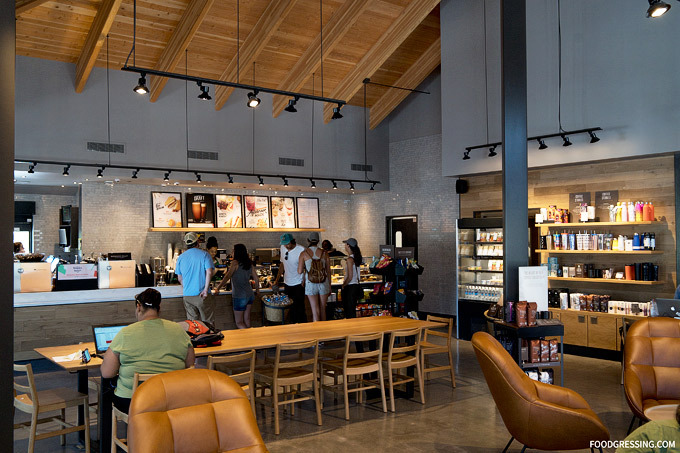 Starbuck’s cocktail and Italian food offerings are apparently part of the company’s strategy to reach the higher-end and fuller service part of the food and beverage market. 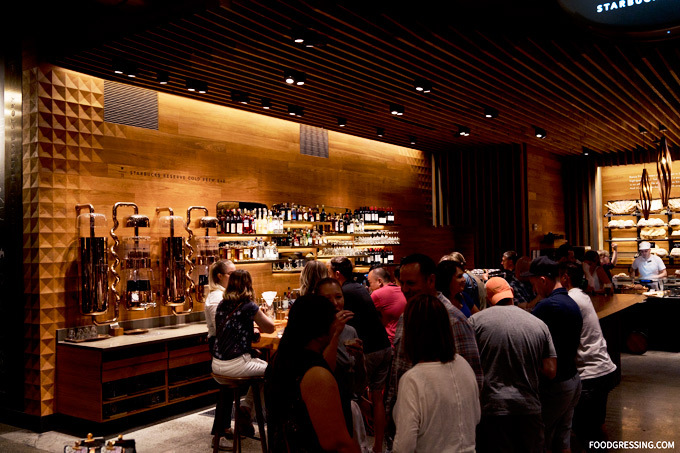 It’s also a way for Starbucks to introduce America to Italian apertivo and digestivo culture. 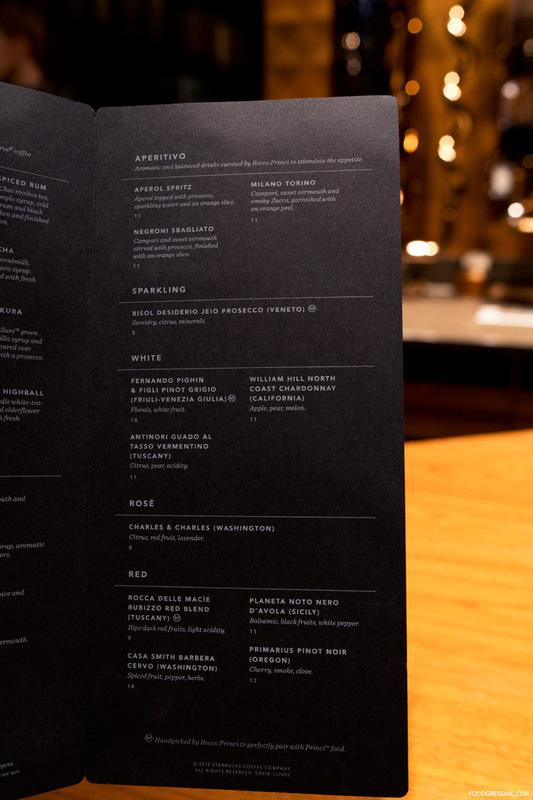 The mixology bar menu features Signature Cocktails inspired by Starbucks Reserve Coffee and Teavana tea, Classic Cocktails, Aperitifs (before meal drinks to stimulate appetite), Digestivo (after meal drinks to aid digestion), wine, beer, cold brew on tap as well spirit-free beverages. 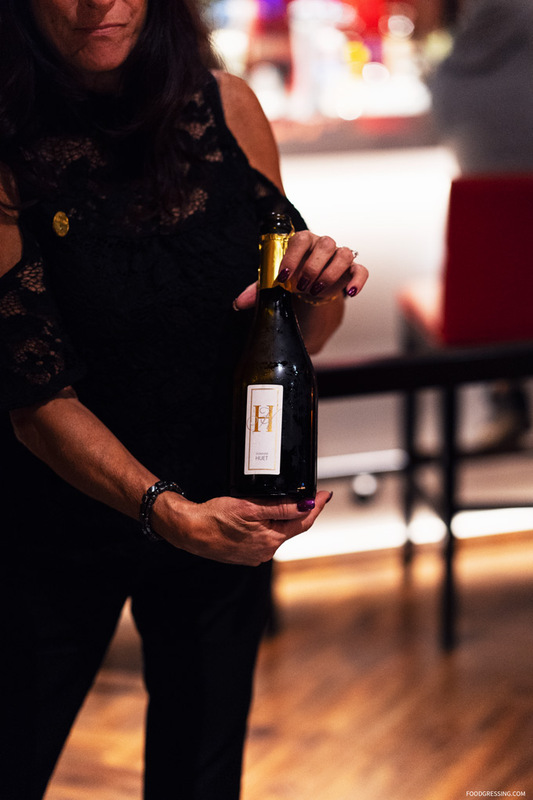 For the wine and beer selections, there are some that are noted to be ideal for pairing with Princi food. 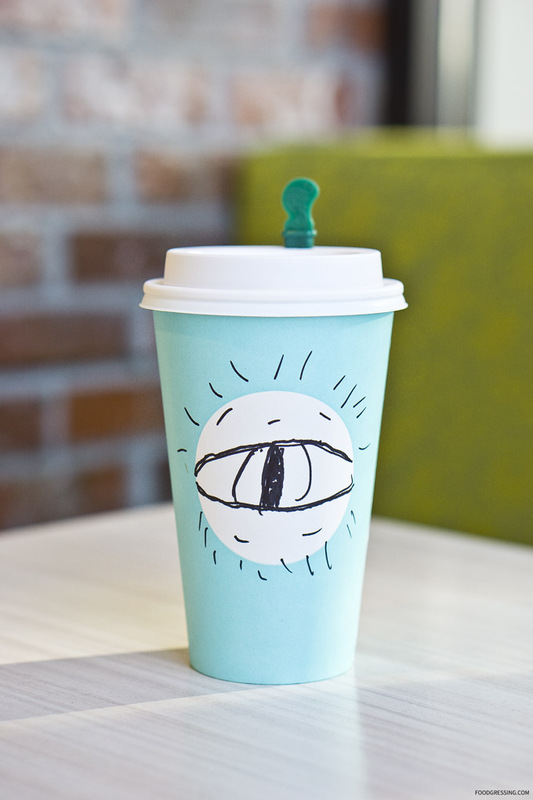 I didn’t order any drinks but one customer welcomed me to photograph the drinks he ordered. 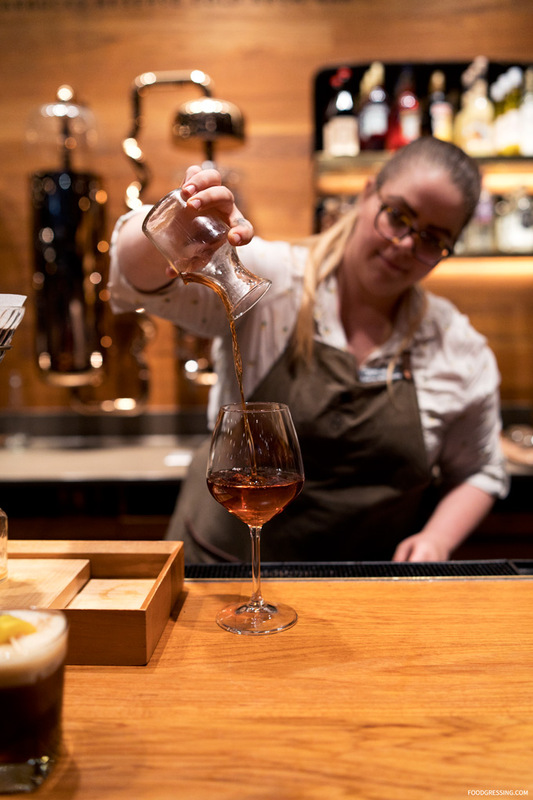 Here is the Starbucks Reserve Boulevardier ($14) where barrel-aged vanilla syrup, Campari, sweet vermouth and bourbon were poured over freshly ground Starbucks Reserve Coffee. It was finished with lavender bitters. 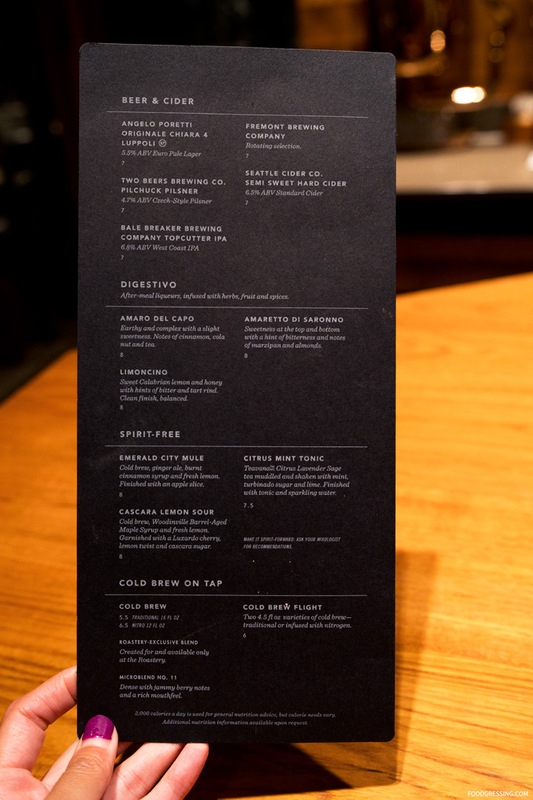 He also ordered a Cascara Lemon Sour ($8) featuring Cold brew, Woodinville Barrel-Aged Maple Syrup and fresh lemon. The garnish was a Luxardo cherry, lemon twist and cascara sugar. I had a great time hanging out at the mixology bar and watching the mixologists at work. 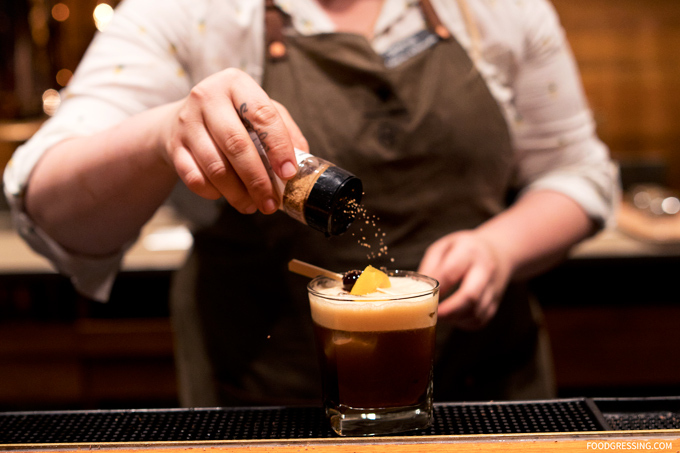 If you love coffee and cocktails, the mixology bar would be something worthy of checking out. 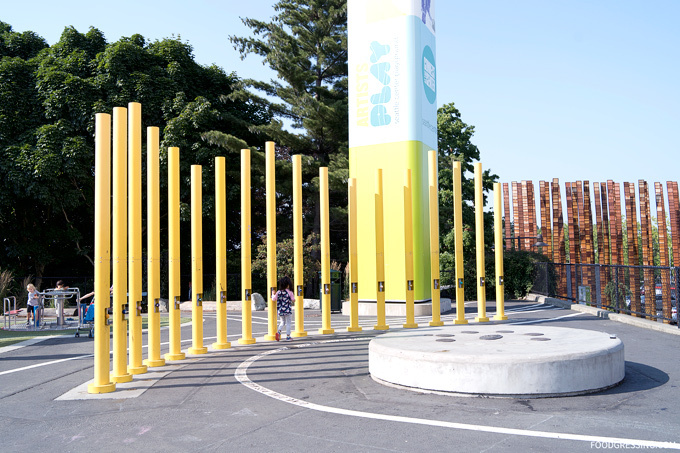 On our day trip to Seattle this past week, we discovered a charming playground at Seattle Center called Artists at Play. 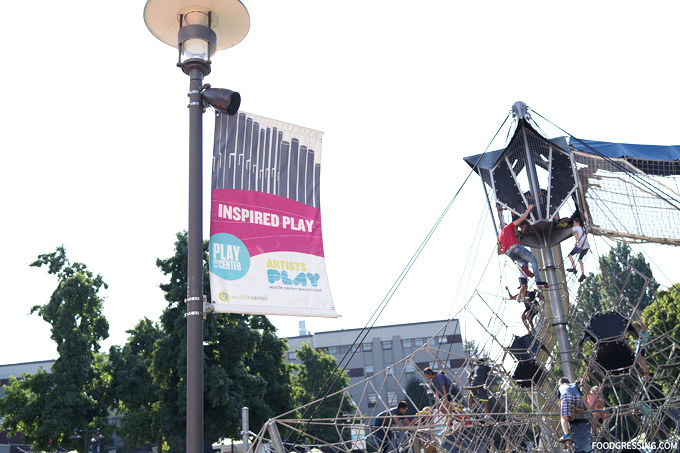 Designed by a team of artists, Artists at Play was opened three years ago and features artistic, sound and motion-themed play elements. 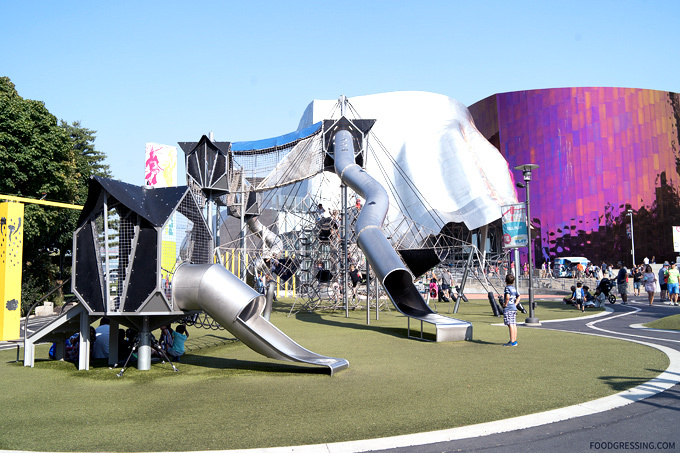 The playground is located at Next 50 Plaza between the Museum of Pop Culture (MoPOP) and the Seattle Center Armory, just north of the Monorail station. 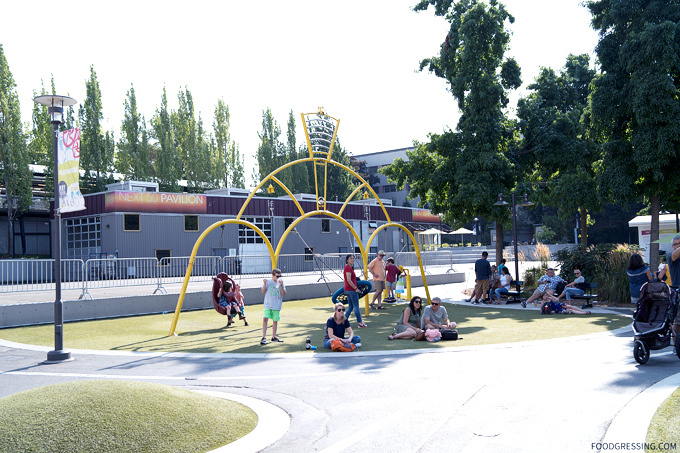 The Seattle Space Needle is also a few steps away from the playground. 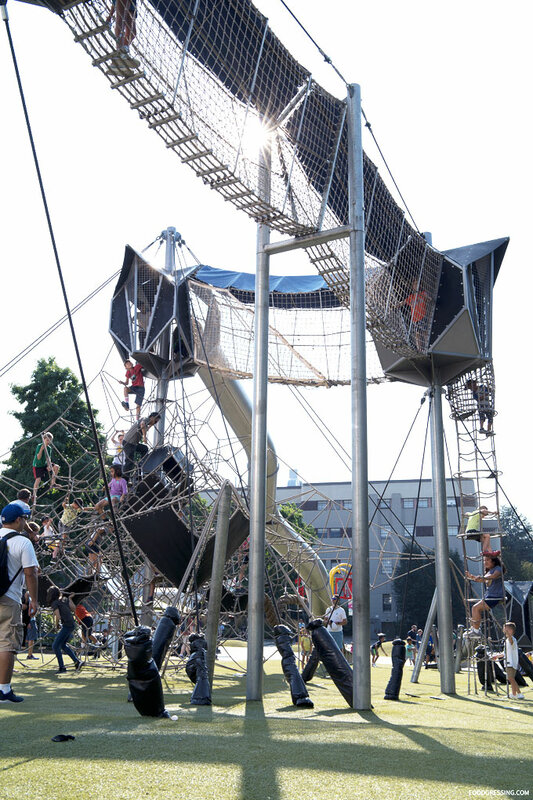 One highlight of the playground is the 30-foot climbing tower, one of the tallest such structures in North America. 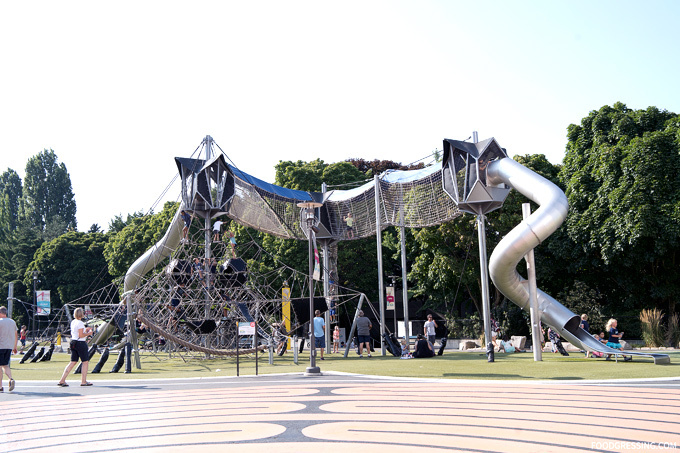 I saw that kids were having a great time scaling the rope ladders and climbing net, exploring the suspension bridges, and going down the tall tube slides. 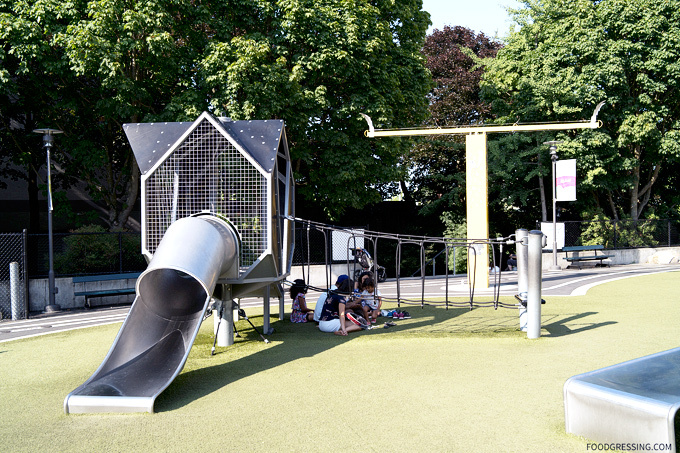 The recommended age for tower is 5 – 12 and it recommended that adults know their children’s abilities before allowing them to play on the tower. 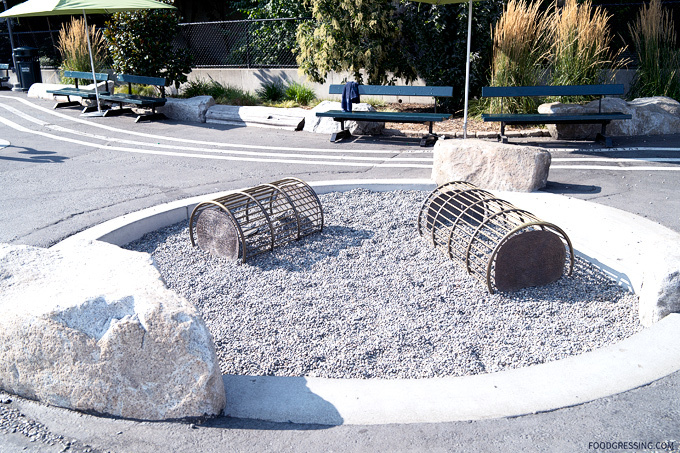 Some tamer playground elements include the human-powered accessible-friendly carousel, child-inspired musical instruments, listening stations, and sound swings. There’s also a smaller play set for the little ones. For parents, there are benches to sit on but not as much shade as I would have liked. I sat on the artificial lawn underneath the tower with some cover and it was very comfortable. 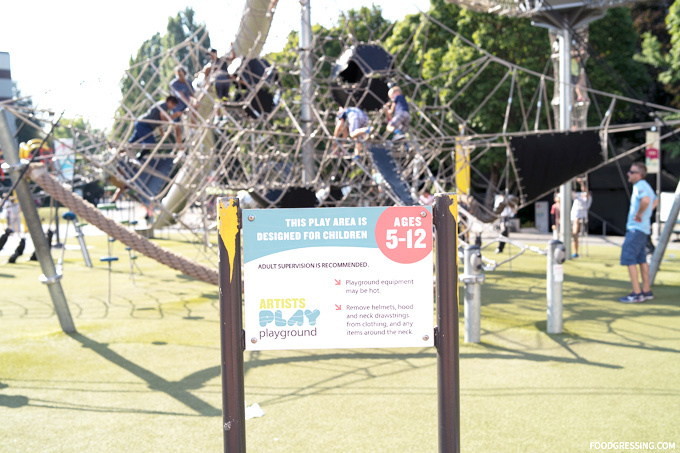 We had a great time exploring Artists at Play and I would recommend other families to visit the playground if they are visiting the Seattle Center area. 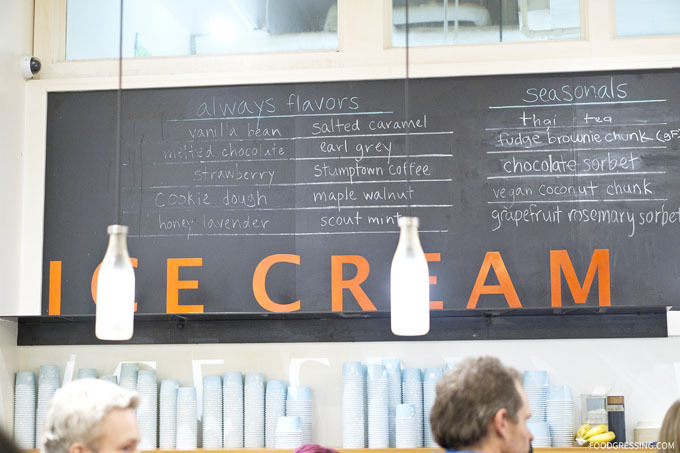 When it comes to must-try ice cream parlours in Seattle, Molly Moon’s is certainly one of them. 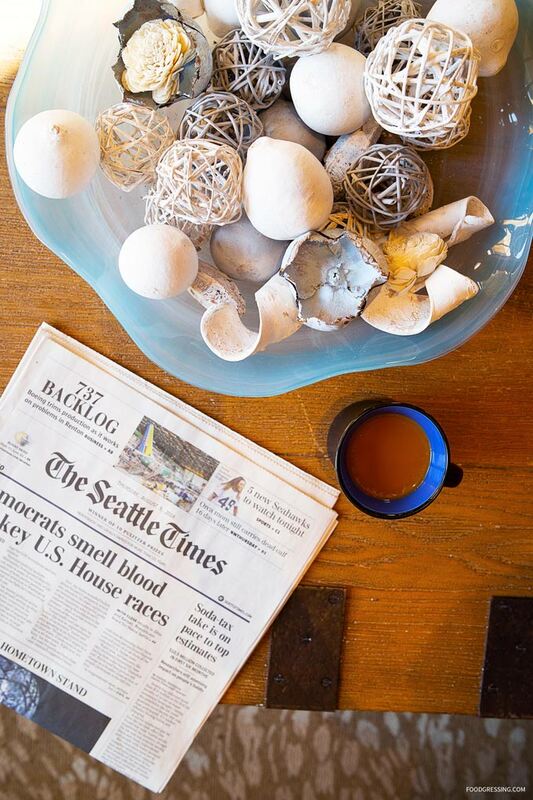 Around Seattle, they have 8 locations (now that’s a lot!) 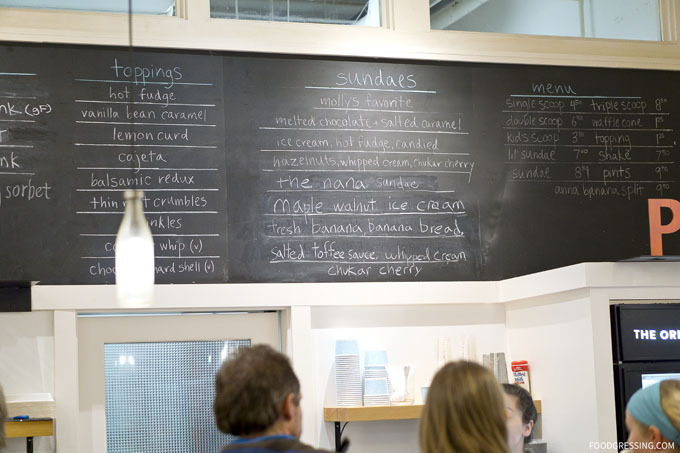 and they known for using local and organic ingredients in their homemade ice cream. For example, they use milk and cream from hormone-free dairy cows and organic fruits and spices as much as possible. After having some deep dish pizza at Delfino’s in University Village, we decided to enjoy some ice cream dessert at Molly Moon’s (also inside the village). 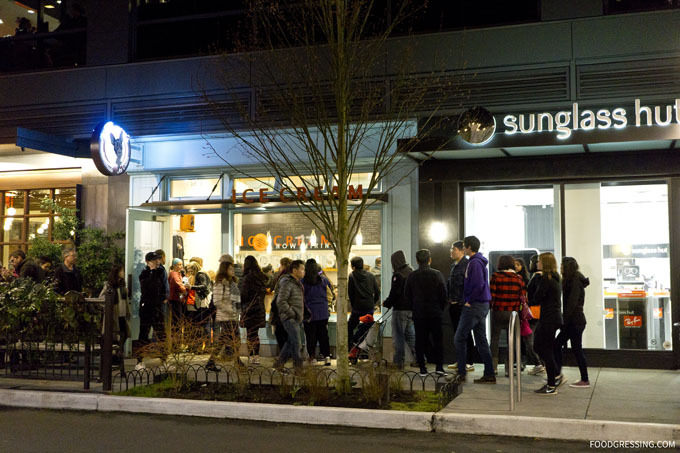 It was a nice Saturday night and the line up was outside the door for Molly Moon’s. However, the line progressed at a reasonable pace and we were inside the ice cream parlour in no time. Note: This is not a sponsored post. The food was not complimentary. I did not receive any compensation or incentive to share about my experience. The eatery did not know that I am a blogger. 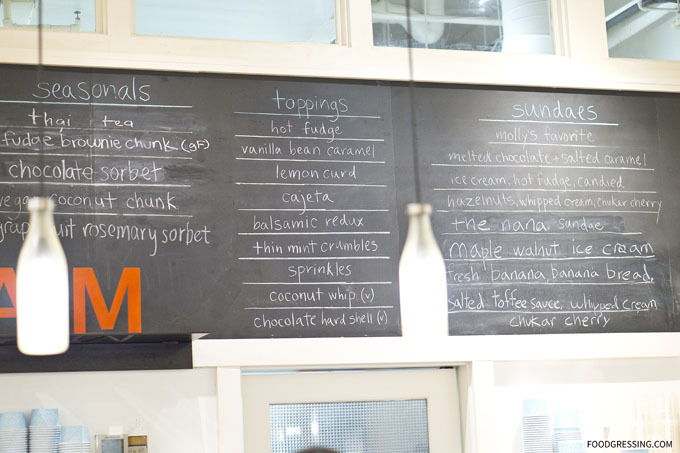 Molly Moon ice cream flavours were categorized into “Always Flavors” and “Seasonals.” Also on the menu were additional toppings and sundae options. “Always Flavors” include vanilla bean, salted caramel, cookie dough and more. For “Seasonals,” they had vegan coconut chunk, chocolate sorbet, fudge brownie chunk and others. Some of the interesting topping choices were lemon curd, hot fudge, balsamic redux and vanilla bean caramel. 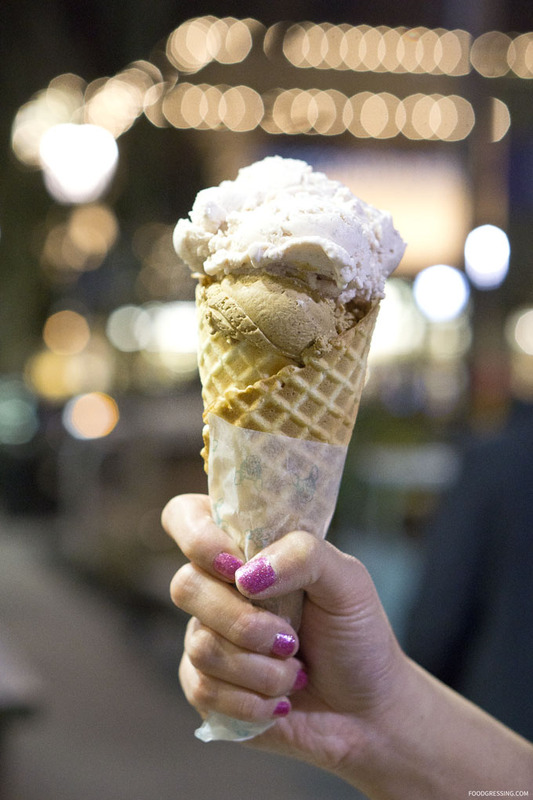 Customers can enjoy a single scoop ($4.50), double scoop ($6.50), and triple scoop ($8.50). Waffle cones and additional toppings are $1.25 each. The staff seemed friendly and we sampled a few flavours before settling on a double scoop of Thai tea and Strawberry in a waffle cone ($7.75 + tax). 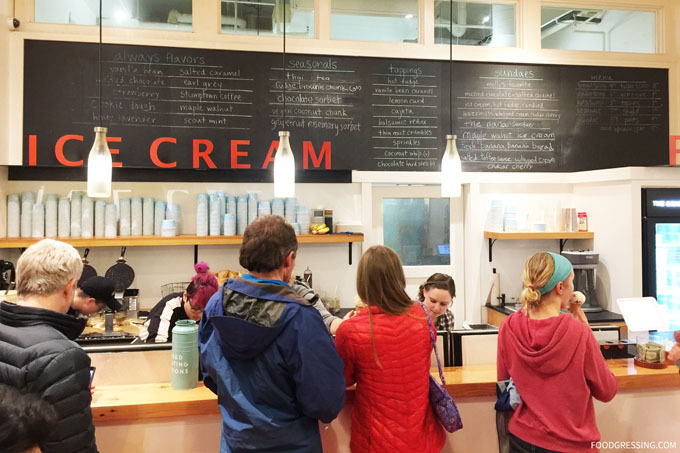 In general, the ice creams were rich, creamy and flavourful. The strawberry is one of their always-available flavours and is made with Washington-grown strawberries. They include chunks of strawberries and you can really taste them! I liked how they include real fruit bits in the flavour. Their seasonal Thai tea flavour is made by hot steeping organic rooibos red tea and organic assam black tea into their milk and cream before spinning it into ice cream. I really enjoyed the Thai tea which had hints of cinnamon, anise and vanilla. Not having experienced deep dish pizza before, I decided to search for local pizzerias in the area and I made the decision to try it out on our recent visit to Seattle. 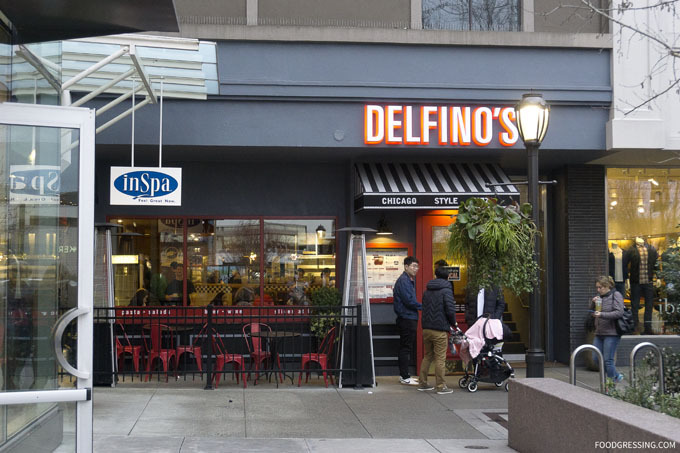 Delfino’s Chicago Style Pizza in University Village came up in my research as one of the few places that did serve deep dish pizza in Seattle. Note: This is not a sponsored post. The food was not complimentary. I did not receive any compensation or incentive to share about my experience. The restaurant did not know that I am a blogger. 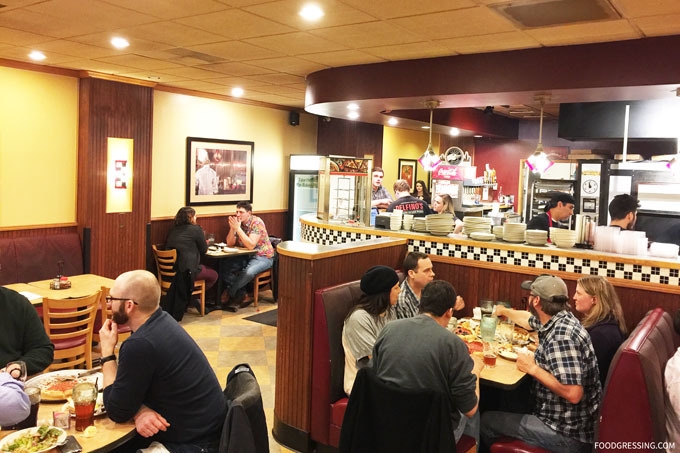 Coming in on a Saturday night, the eatery was busy with a steady flow of dine-in and carry out customers. My family and I were (party of 3) didn’t have to wait too long for a table. Seating seemed to be plentiful with a mix of booths and dining tables for 2 and 4. There is also another dining area in the back of the restaurant. Delfino’s has a casual vibe to it with a casual, retro-inspired interior. And though it was busy, staff seemed pretty relaxed and on top of things. 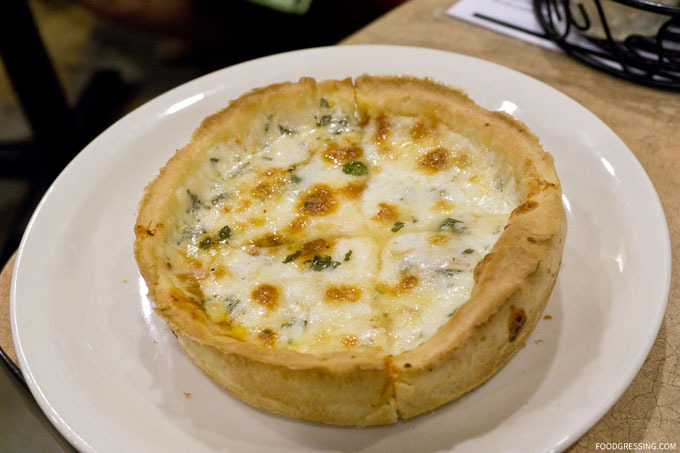 Delfino’s Chicago Style Pizza menu is rather extensive as they offer a wide range of items aside from pizza. 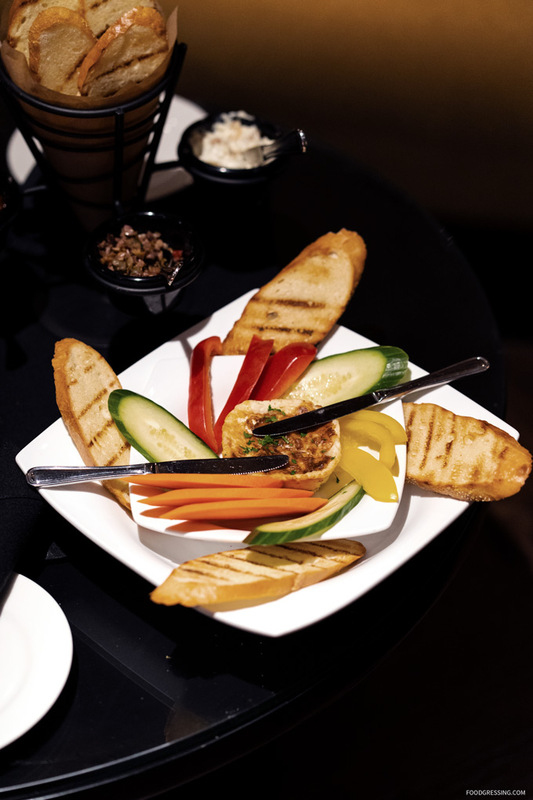 You’ll find appetizers (like chicken wings, Italian meatballs), salads, sandwiches, soups, pasta, desserts and more. As for the pizza pies, they come in mini (1 person), small (2 – 3 people), medium (3 -4 people) and large (4 – 5 people). 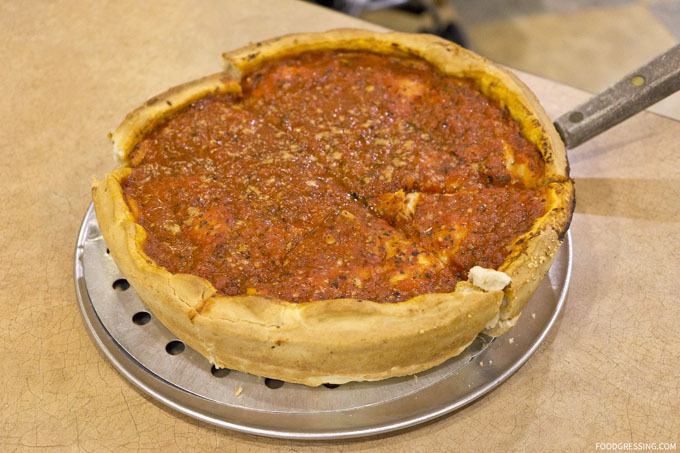 Crust options include thin, deep dish and stuffed. 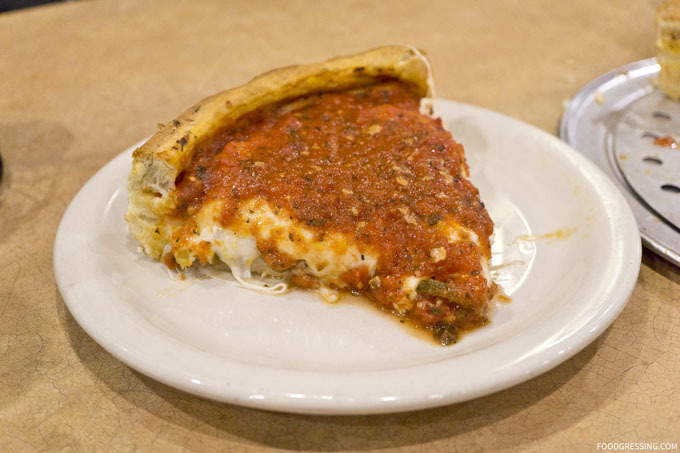 The difference between a stuffed and a deep dish is that a stuffed pizza-pie starts with a deep dish crust, toppings, cheese and then is covered with another thin layer of crust, toppings and sauce. 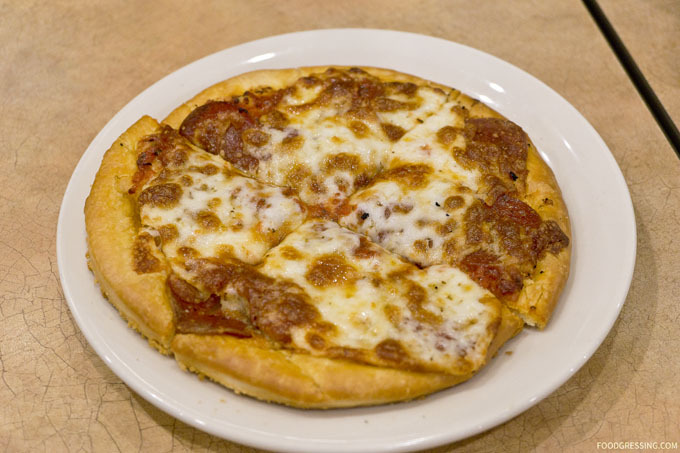 For a build-your-own pizza, deep dish starts at $9.00 (mini) up to $21.75 (large); stuffed pizzas range from $9.75 (mini) to $22.50 (large). Their signature combos cost a bit more. Delfino also notes the bake times for the pizzas: 15-20 min for thin; 25-30 min for deep dish and 30-35 min for stuffed. 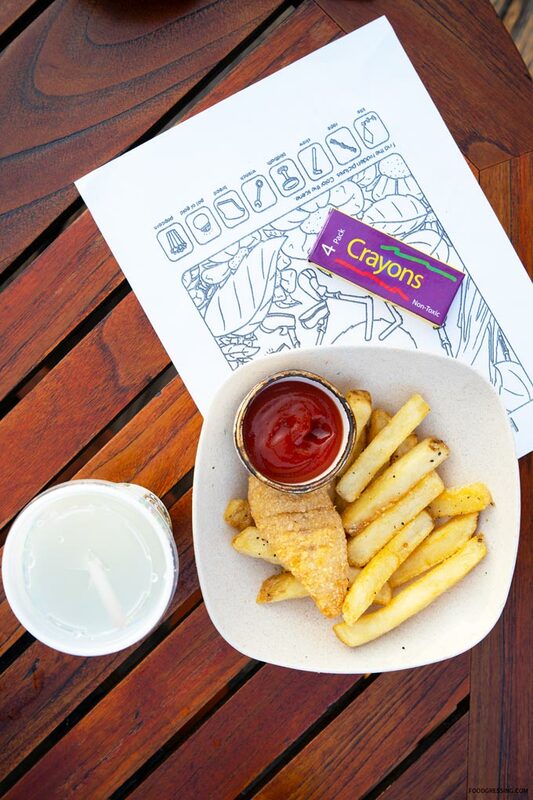 A kid’s menu is also available with chicken tenders, pasta, cheese pasta and more. You can find Delfino’s menu online. The Chicago Firehouse Stuffed Pizza was the star of the show. It was a thick, dense pizza pie made with signature sausage, bacon, sauteed onions, jalapeno, mozza and tomato sauce. My husband, who is a voracious pizza eater, thought that he could easily finish this stuffed pizza pie by himself. And he was so wrong – this pizza pie was fully loaded. He was able to eat only one slice. This thing is a beast and not for the faint of heart. The crust was crispy on the outside and soft and chewy on the inside. The tomato tasted like it had herbs in it. The pizza also had a nice spicy kick to it from the jalapenos. On the other hand, the Perfect Pesto Deep Dish Pizza was a tad disappointing because we couldn’t really taste the pesto. It is supposed to be made with parsley pesto, pine nuts, garlic, parmesan, mozza and tomato sauce. The pine nuts were a nice touch and added some textural contrast to the cheesiness. I would describe it more as a cheese pizza. The Kid’s Cheese & Pepperoni thin crust pizza was a hit with my son. He’s a picky eater and he devoured the pizza. Loved how cheesy it was with a balance of pepperoni flavours. This past Spring Break, my family and I ventured to Seattle to experience the popular sights and attractions of the Emerald City. Visiting the top attractions was easy because of CityPASS. CityPASS is a fantastic way to save time and money with admissions to activities packaged into one convenient booklet. 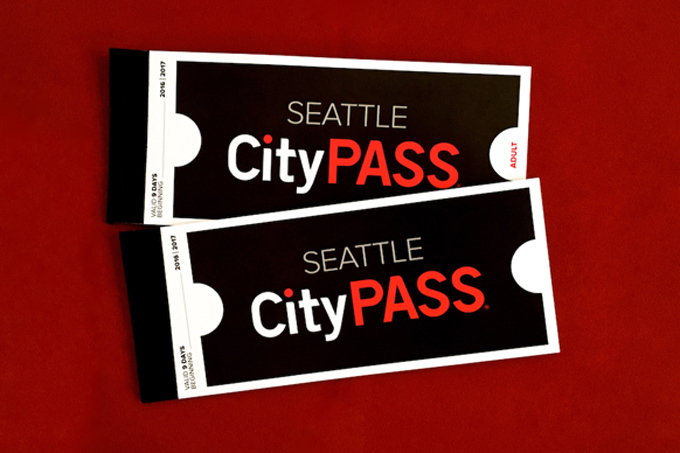 One of the 5 attractions included in CityPASS is the Pacific Science Center, which is the perfect place to immerse yourself in hands-on science fun. Admission also includes one Documentary IMAX® movie. 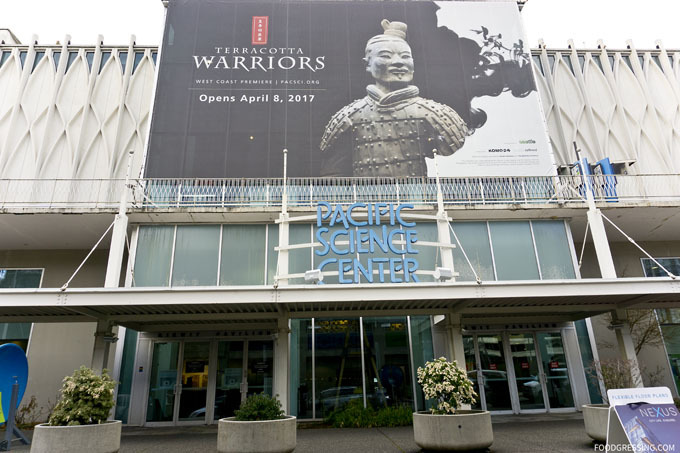 Read on to find out what we enjoyed at Pacific Science Center. Disclosure: I am a CityPASS media partner and received complimentary CityPASS. CityPASS is offered for 12 different cities in North America. 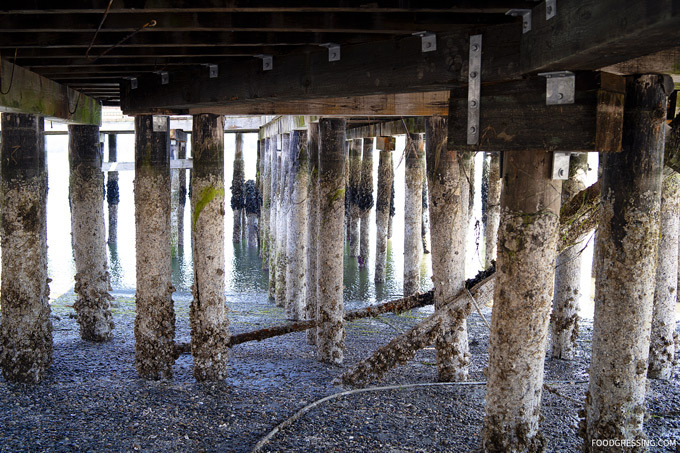 For Seattle, you save 45% off admission to 5 top Seattle attractions. The pass is valid for 9 consecutive days and the booklets can be shipped, received via instant email delivery or purchased at a partner attraction. With CityPASS, you save time from standing in line and paying for admission at the attraction. All you need to do is walk up to the entrance, present your CityPASS booklet, and then you’re in! One tip is that the CityPASS booklet is treated like cash so you must keep in safe. Unfortunately, if you lose the booklet, it cannot be replaced. 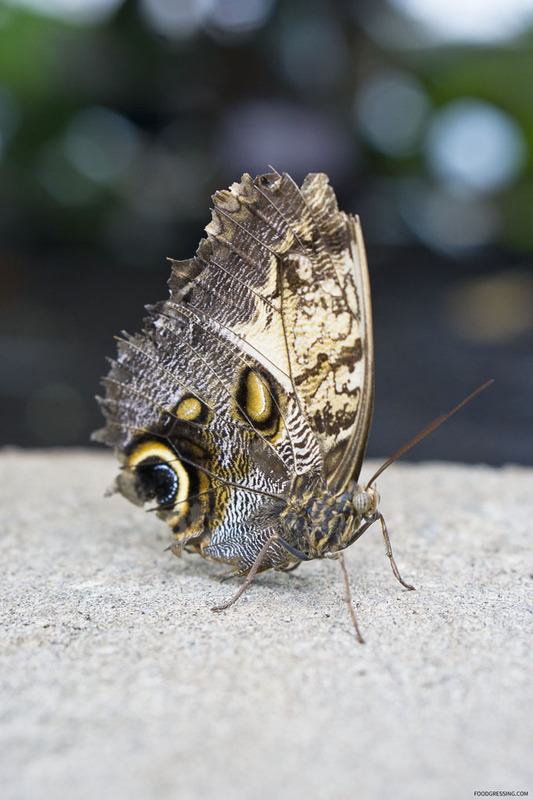 One of the highlights of our visit to the Pacific Science Center was the Tropical Butterfly House. 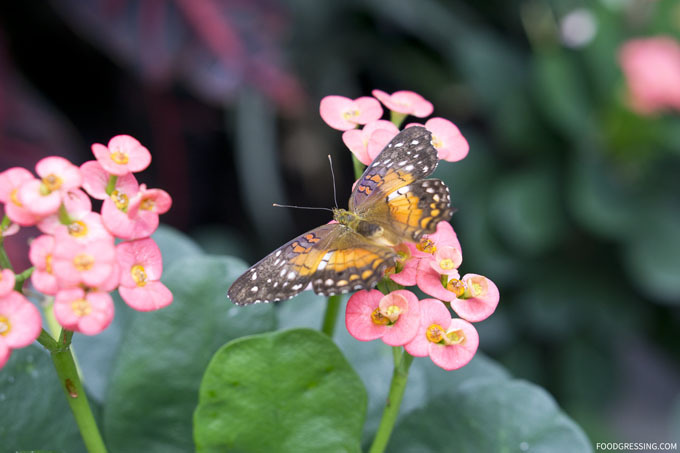 This exhibit has been open for 18 years now and is a 4,000 sq ft exhibit housing live, colorful butterfly all year round. 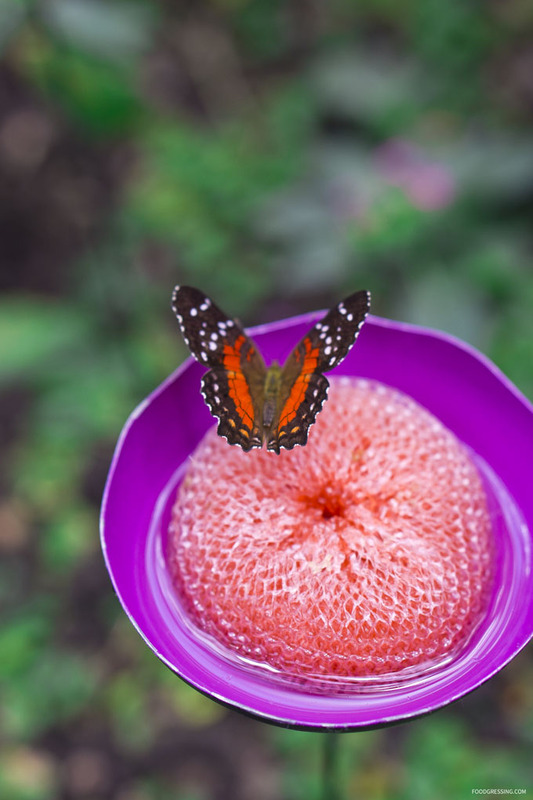 The butterflies are imported weekly from sustainable farms in South and Central America, Africa and Asia. 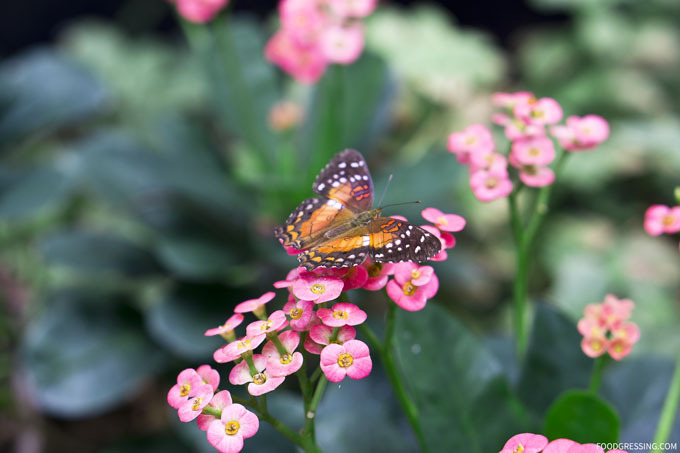 The exhibit contains about 500 butterflies and is warm and humid (~80°F) to mimic the tropical environment. I was in awe by the beautiful patterns that I saw on the butterflies. Check out my recap video below. You’ll find butterflies eating juices from overripe fruits. I saw some that were probing fruit pulp to find juicy spots. Butterflies have a proboscis – a hollow tube like straw – to draw nectar from flowers. Some species use fruit juice as food instead. 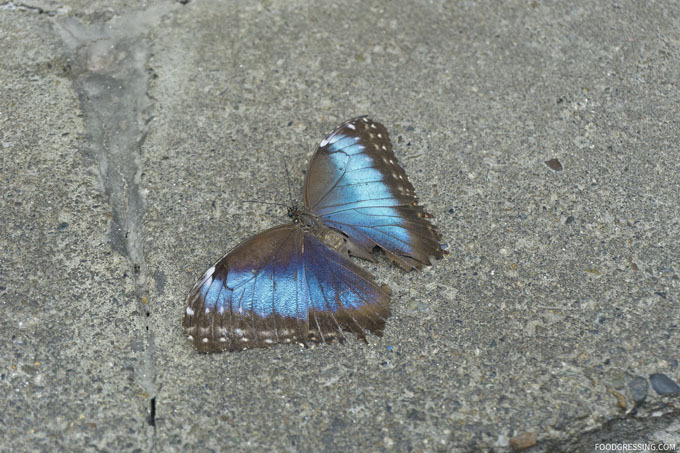 There were a few butterflies that were simply laying on the ground. But don’t worry, they’re OK! Butterflies need rest too. 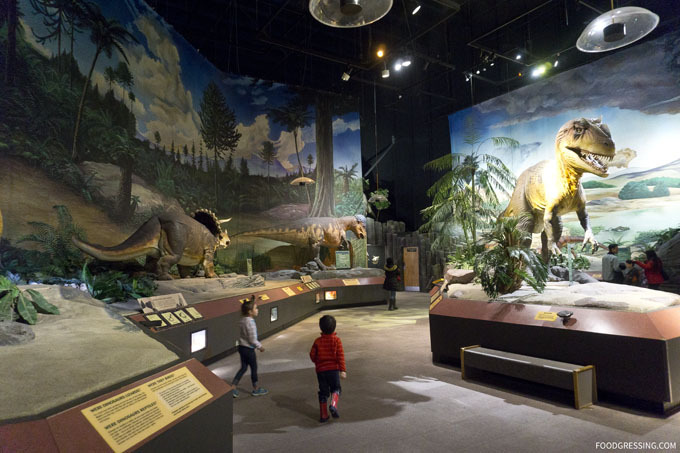 The Dinosaur Exhibit features dinosaurs from the Mesozoic Era. Some of the dinosaurs are animated so it is a great place for kids to go and play make-believe. 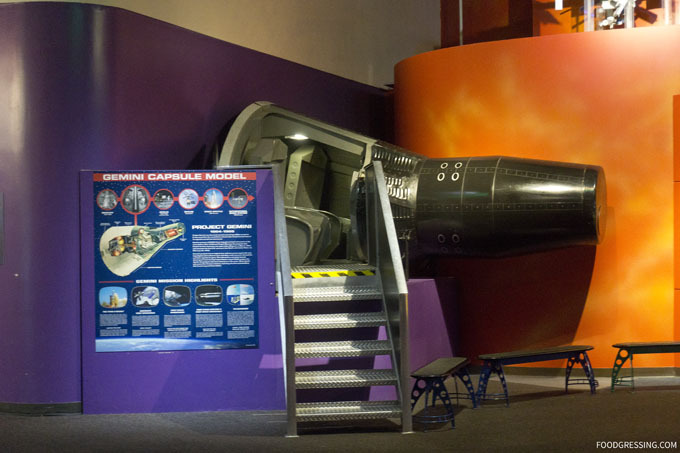 The Pacific Science Center has numerous science exhibits for hands-on, interactive fun. 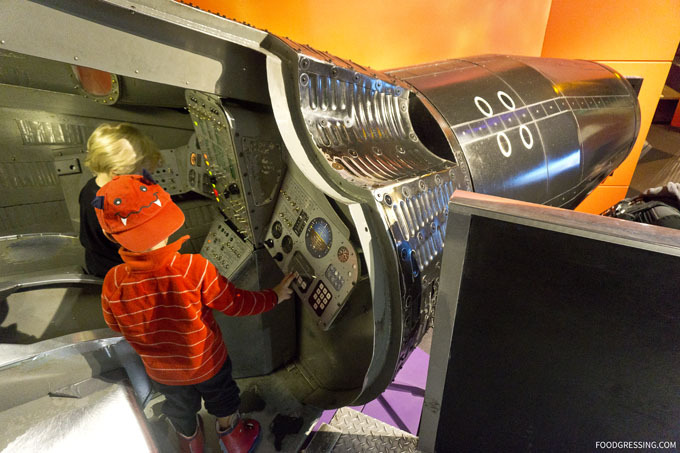 My son particularly enjoyed exploring the Gemini Capsule Model. It was a particularly popular attraction as there was a line-up of kids for it! 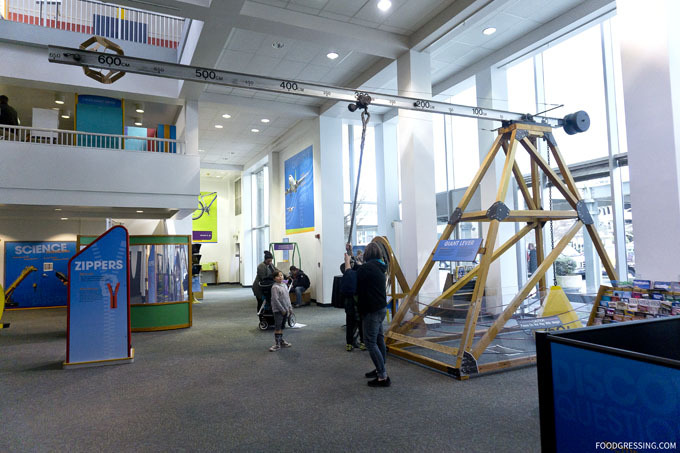 And everywhere you turn, there’s something to engage with to test your knowledge or just have fun! 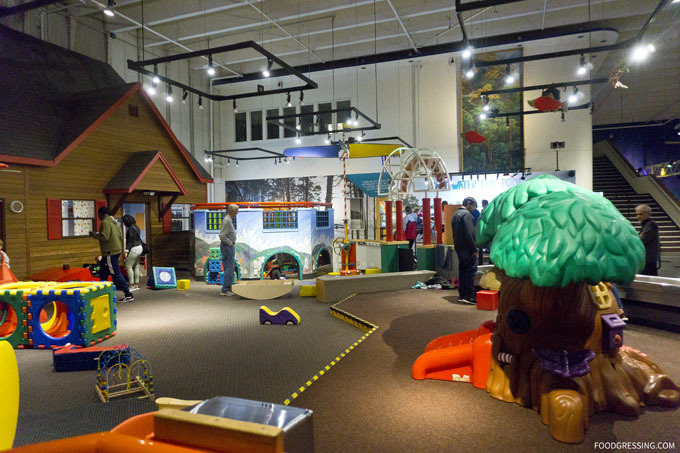 The center also has a spacious toddler-centric safe, area for play.